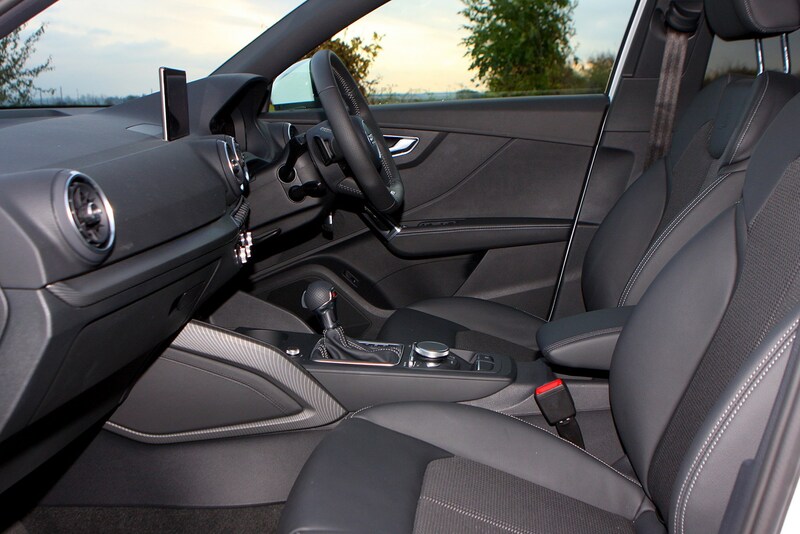 Insurance group: 13 - 37 How much is it to insure? 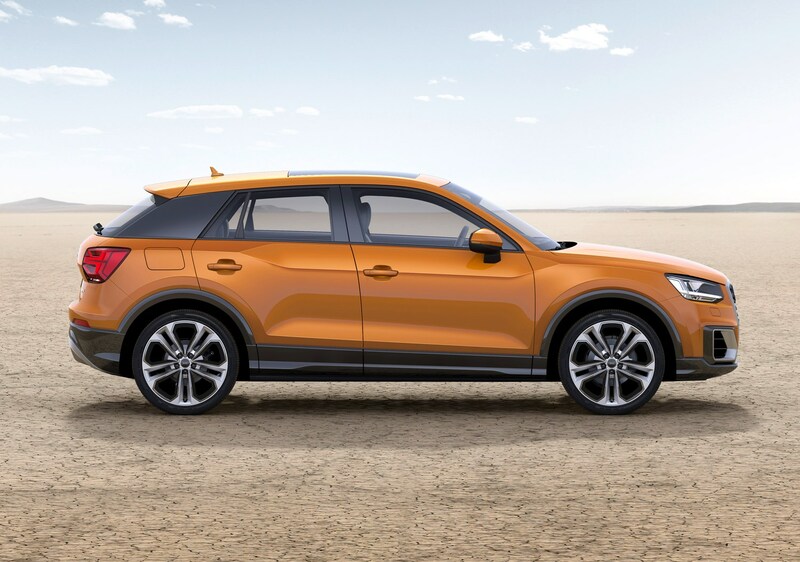 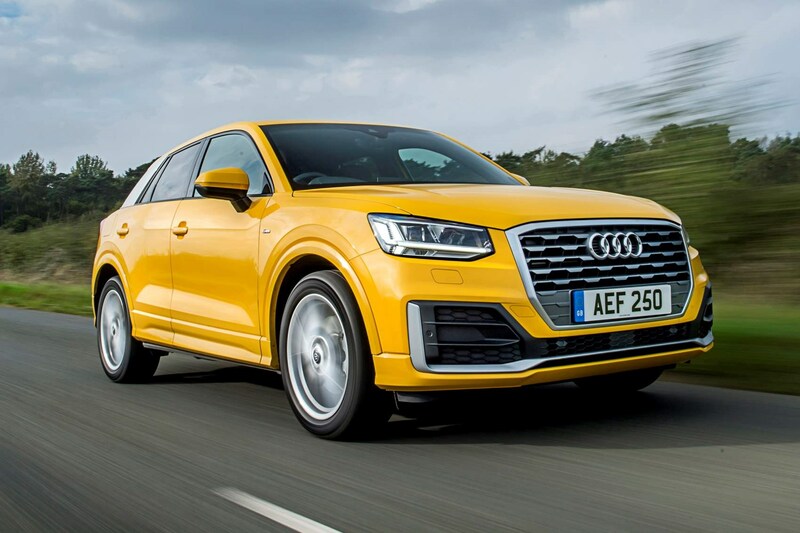 Sitting at the entry-point to the German premium brand’s SUV range is the Audi Q2 – its name telling you all you need to know. 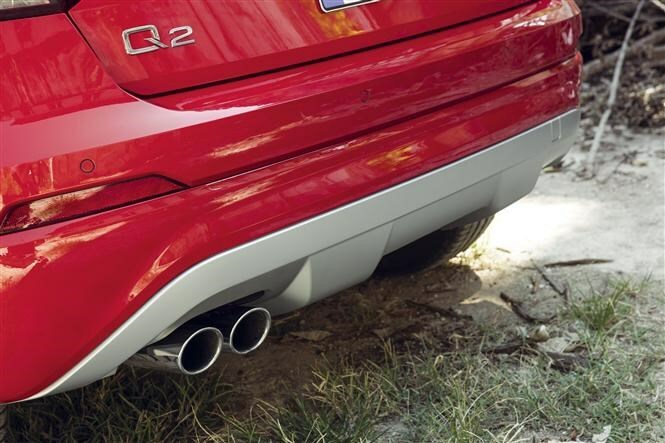 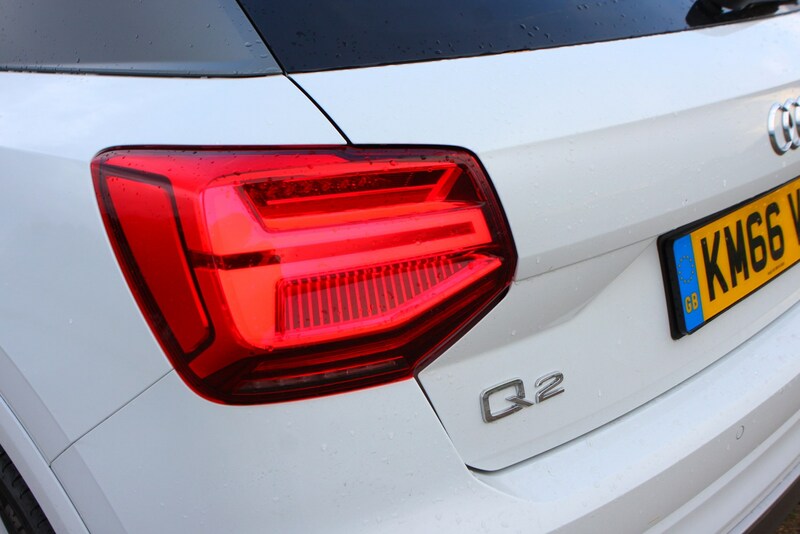 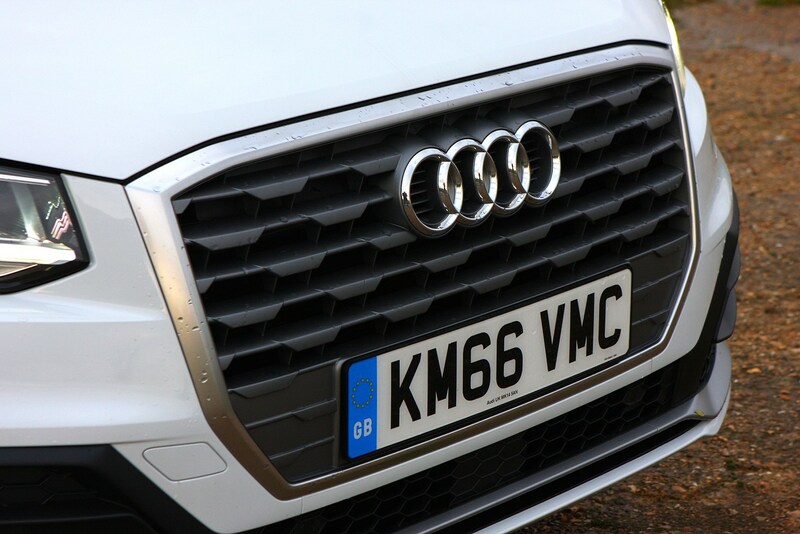 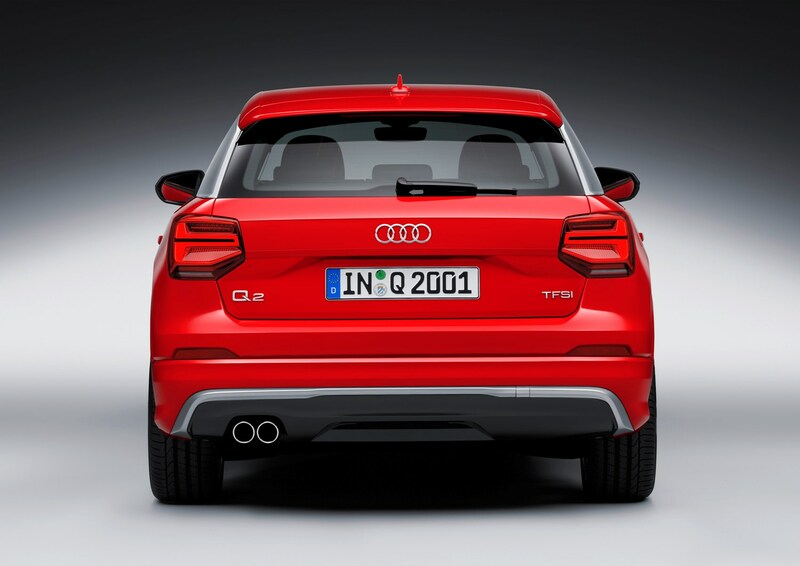 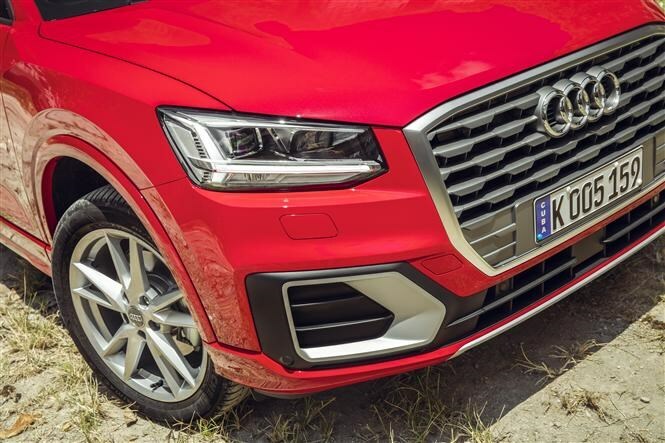 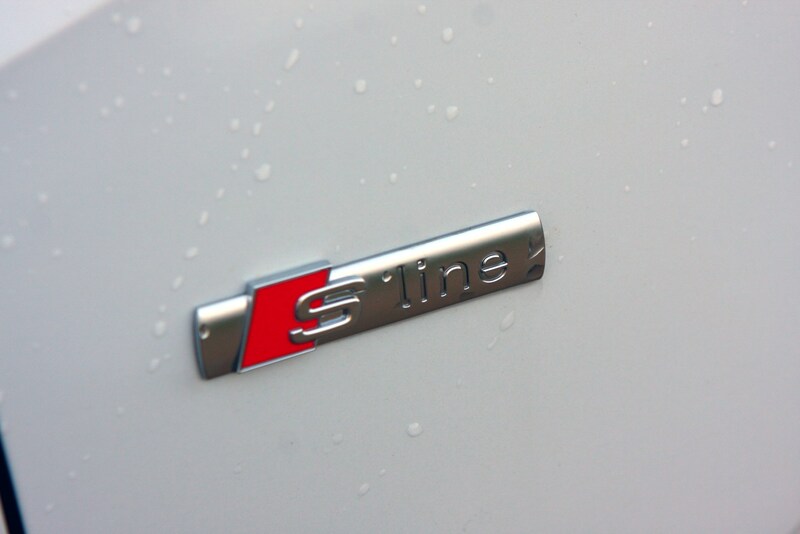 The Q signifies it’s part of the SUV/crossover line-up, and the number indicates it sits at the bottom of the pecking order below the Q3, Q5 and Q7. 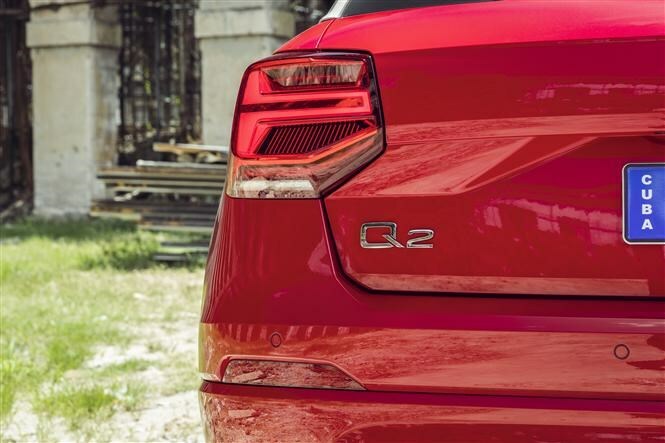 The fact that it’s an even number ushers in an era of more sportier crossovers (Q8 vs Q7), following the logic of BMW’s X4 and X6 coupe-SUVs. 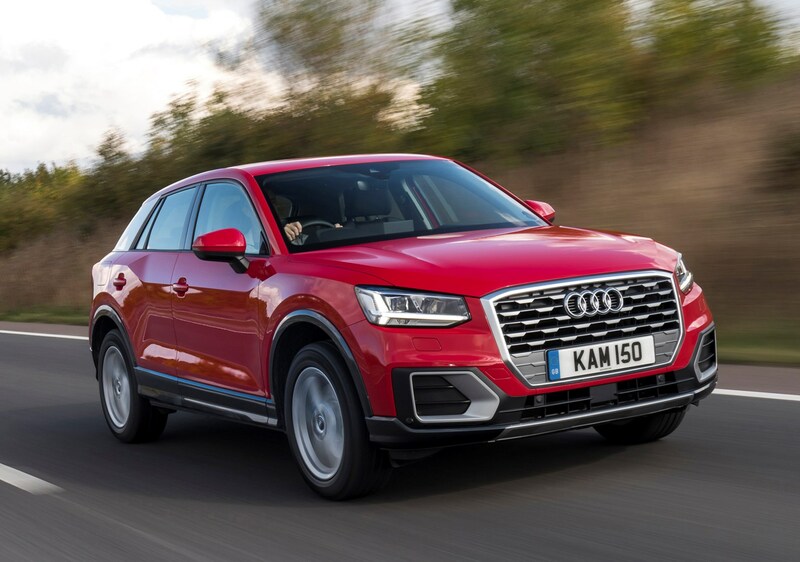 The Q2 is aimed squarely at rivals such as the MINI Countryman, Mercedes-Benz GLA, BMW X1 and Volkswagen T-Roc, but also faces even wider competition from less-premium brands offering crossover ride height and generous interior space. 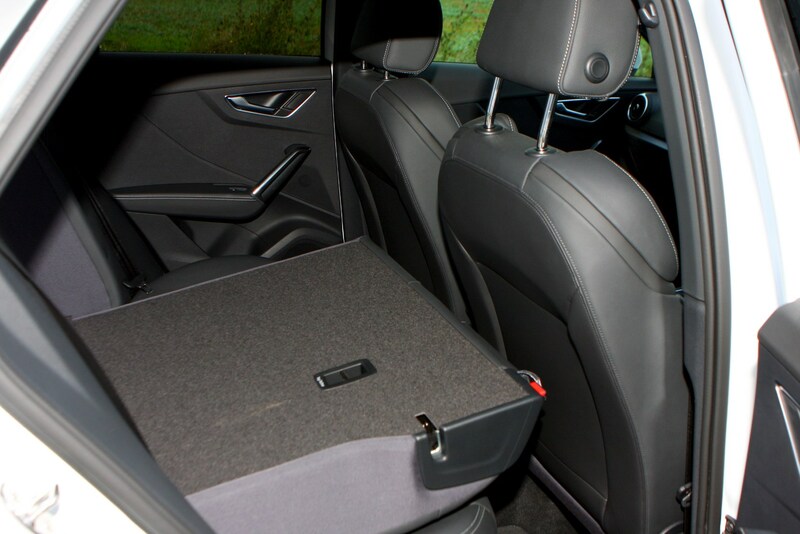 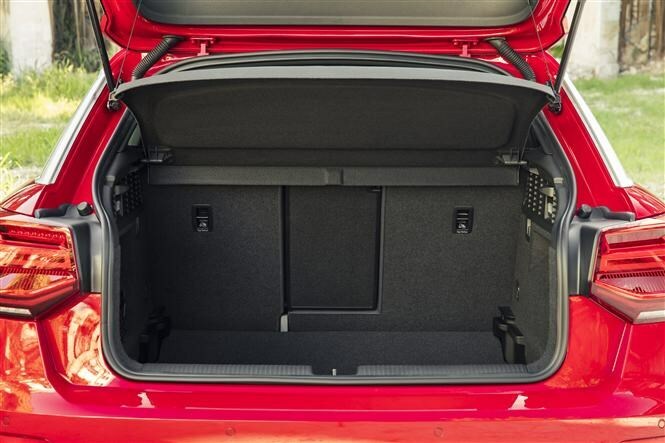 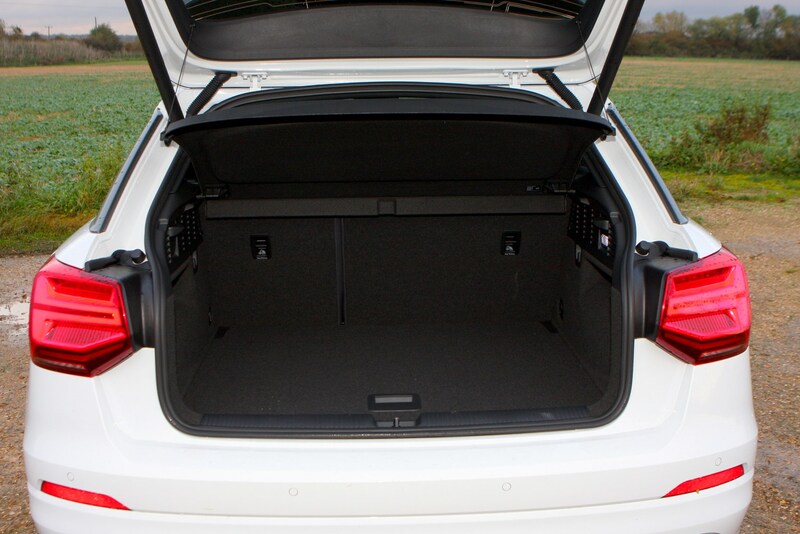 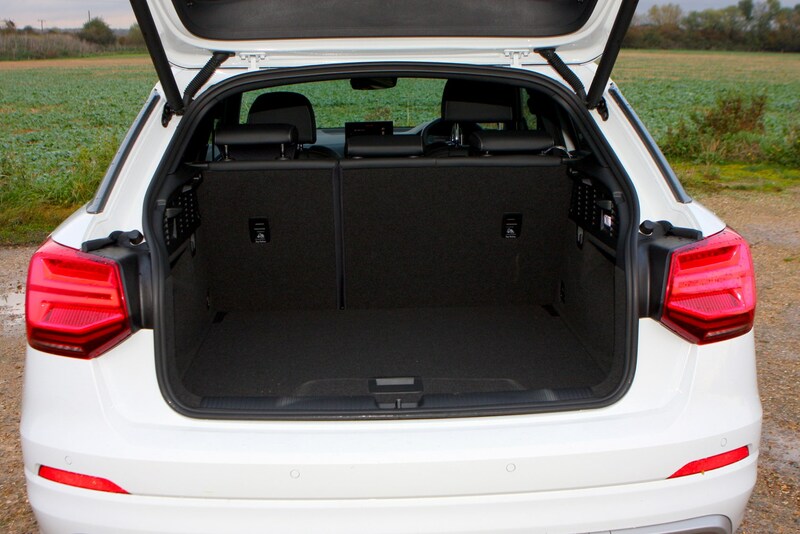 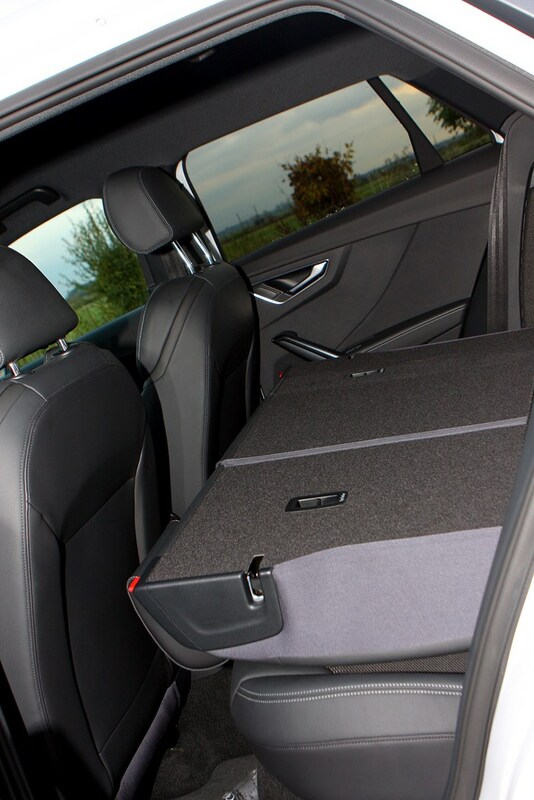 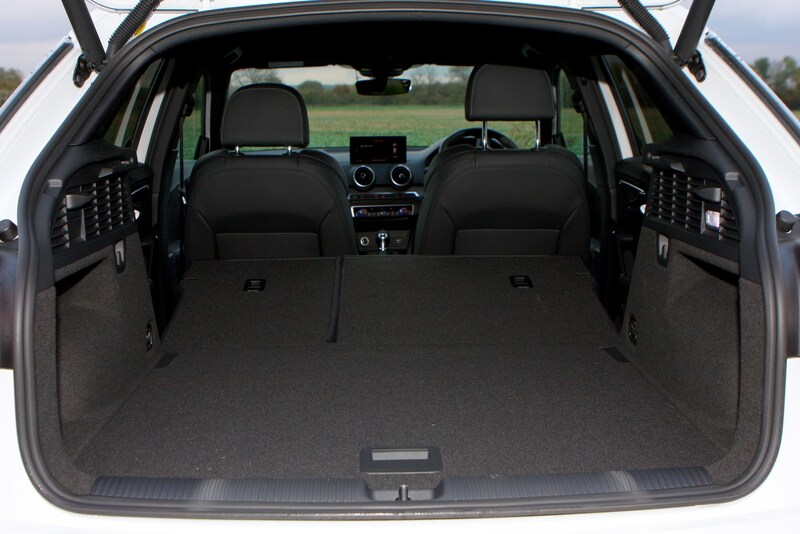 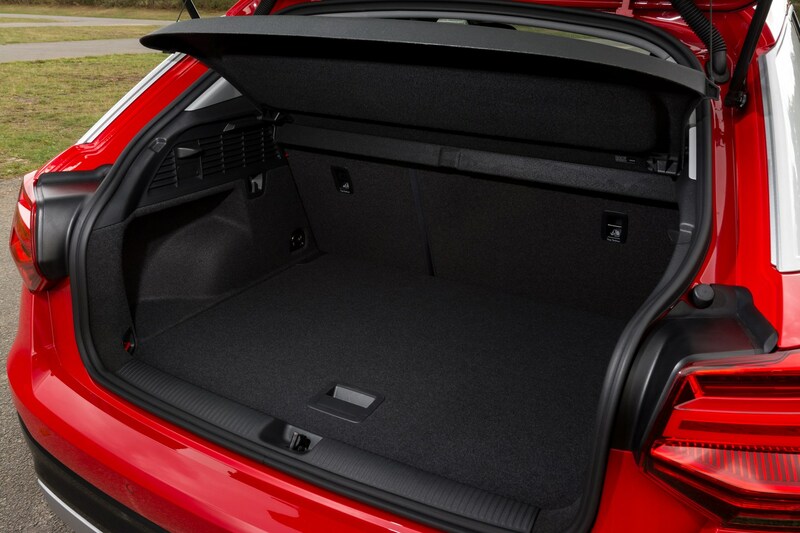 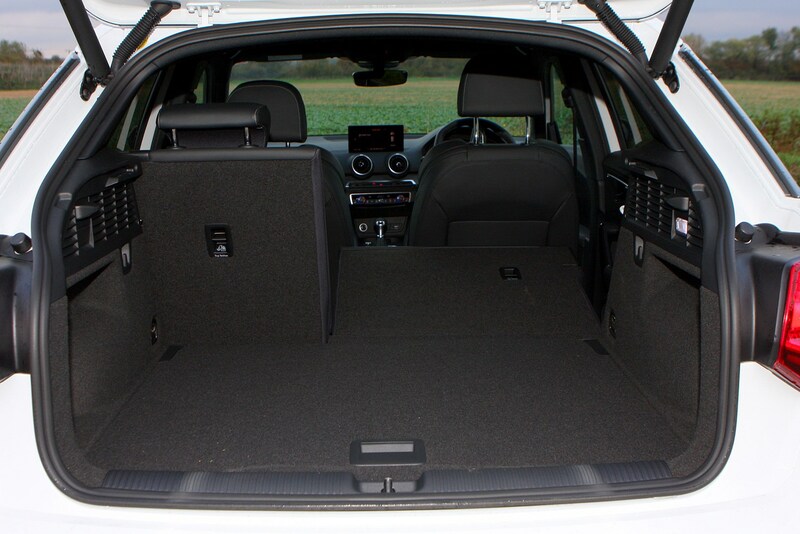 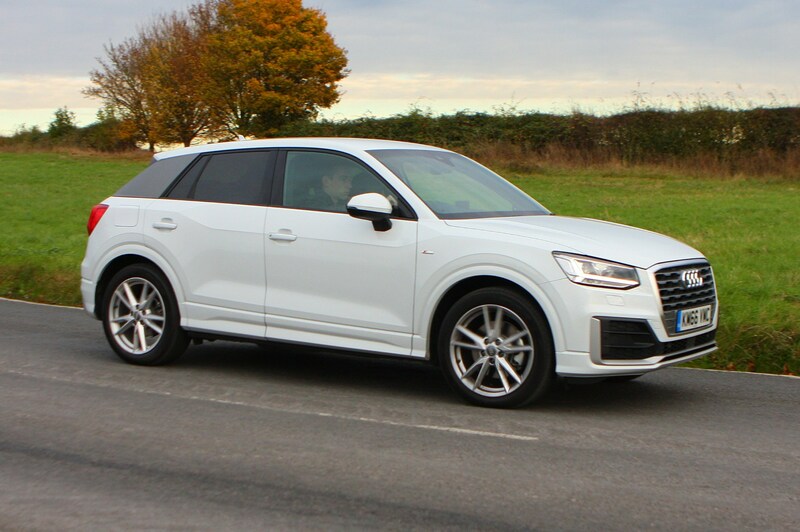 At 4.19m long, the Q2 is 13cm shorter than its more conventional in-house rival, the A3 Sportback, with which it shares its mechanical underpinnings, yet with 405 litres of luggage capacity it’s got a 25-litre bigger boot when carrying five passengers. 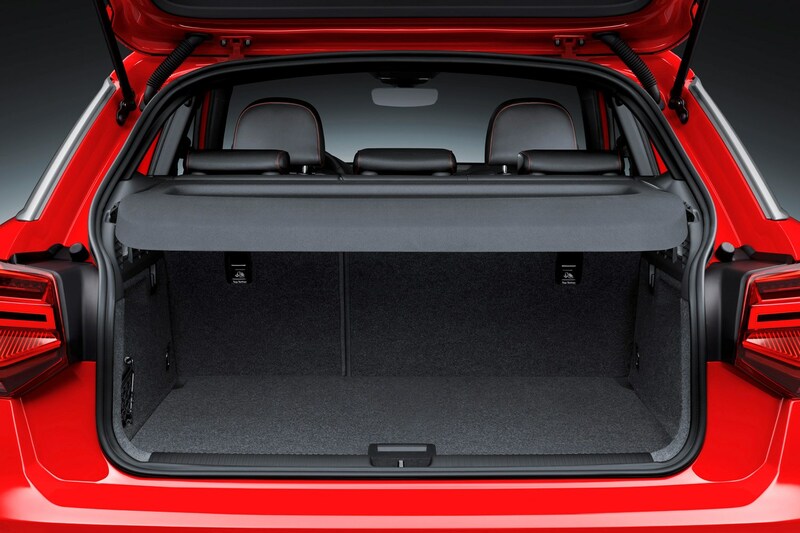 That's assuming three of the five are kids - the rear seat is on the tight side for adults, offering slightly less room to spread out in than its A3 counterpart. 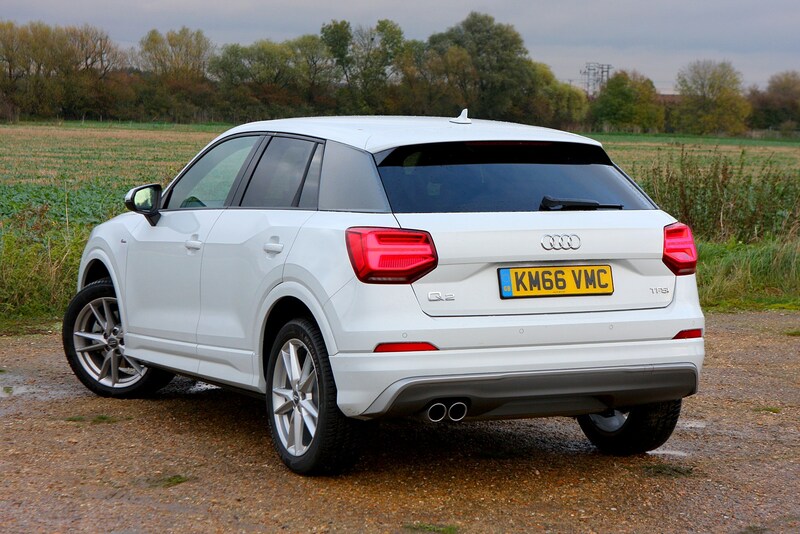 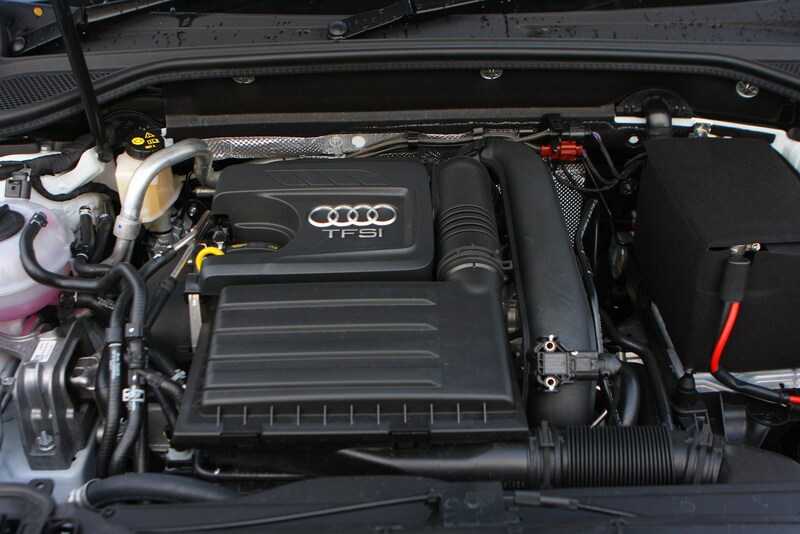 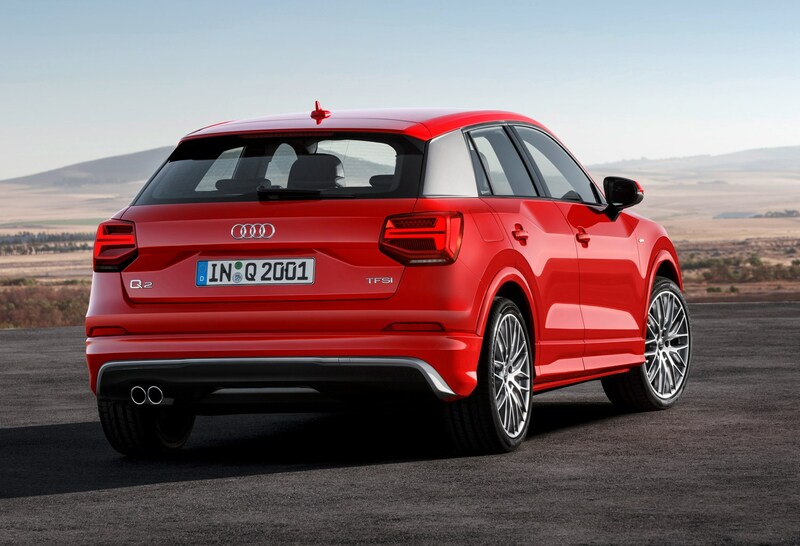 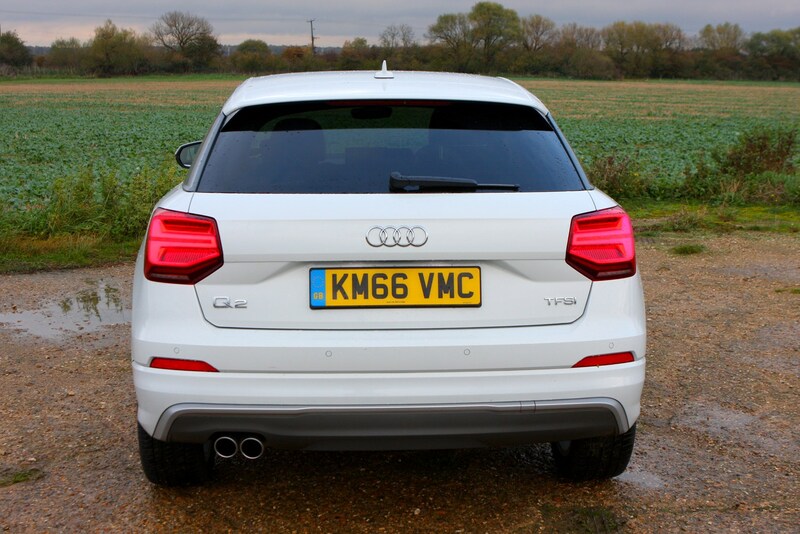 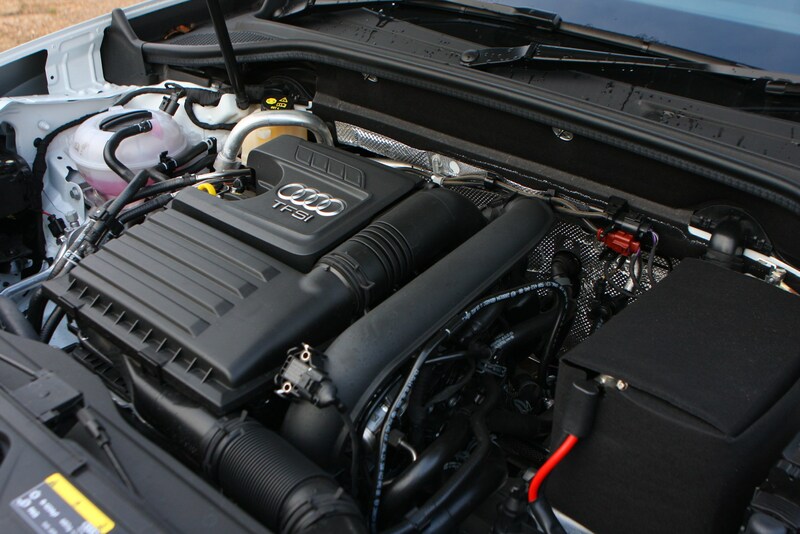 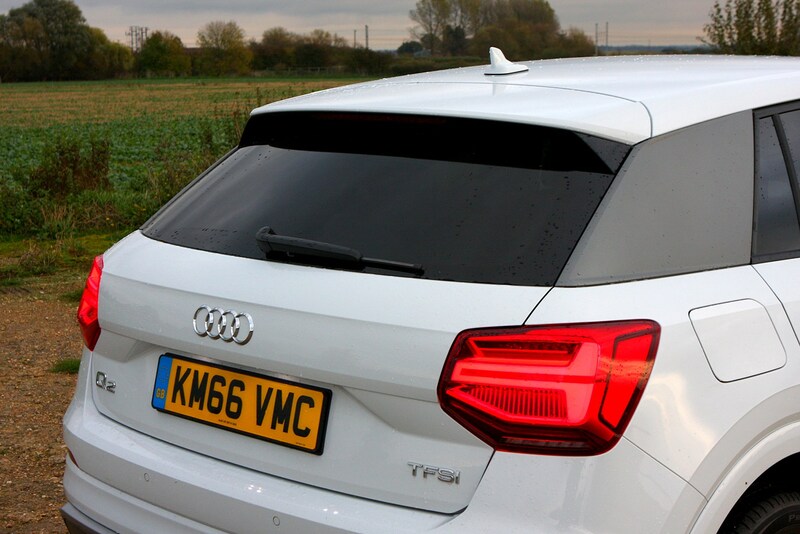 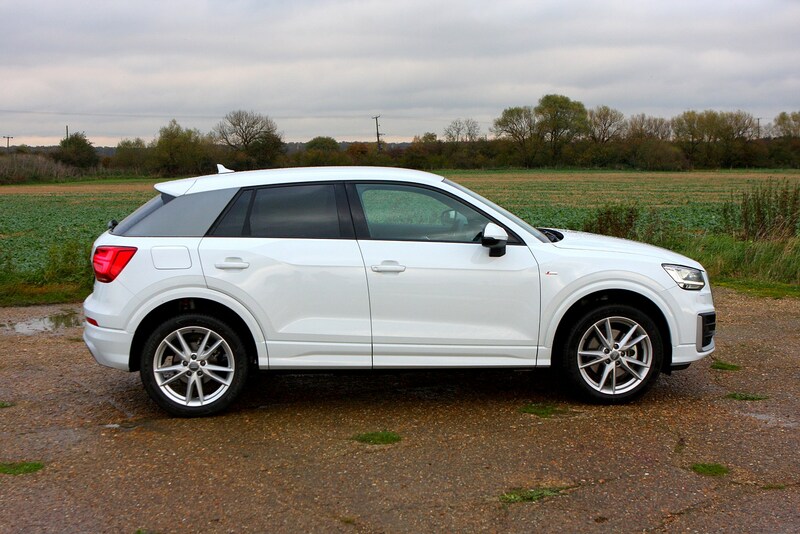 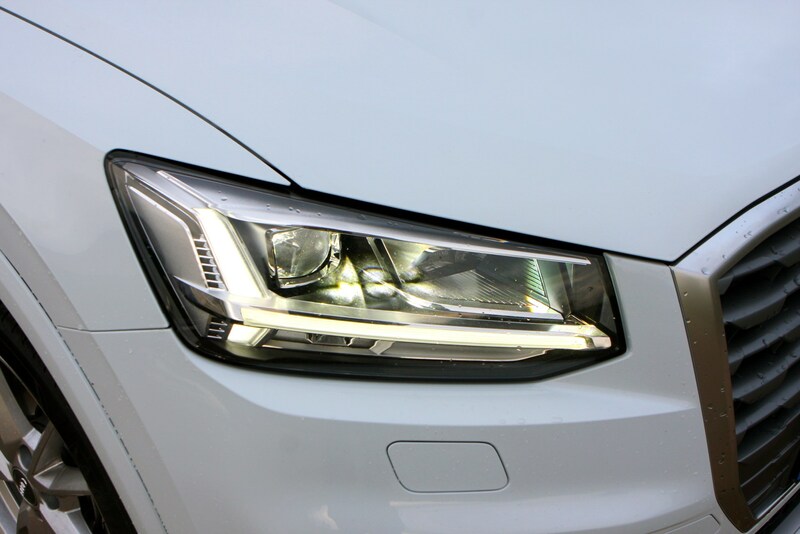 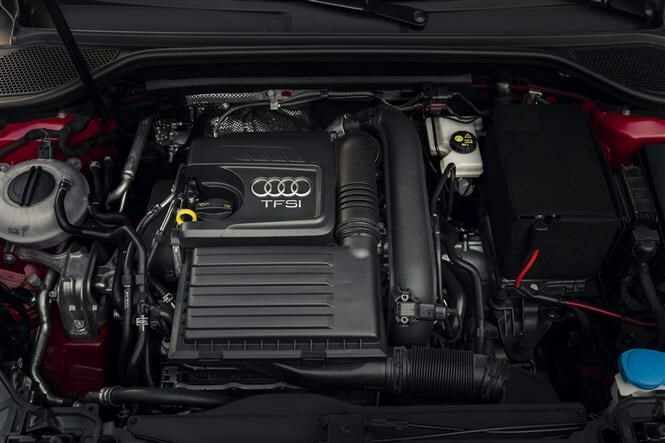 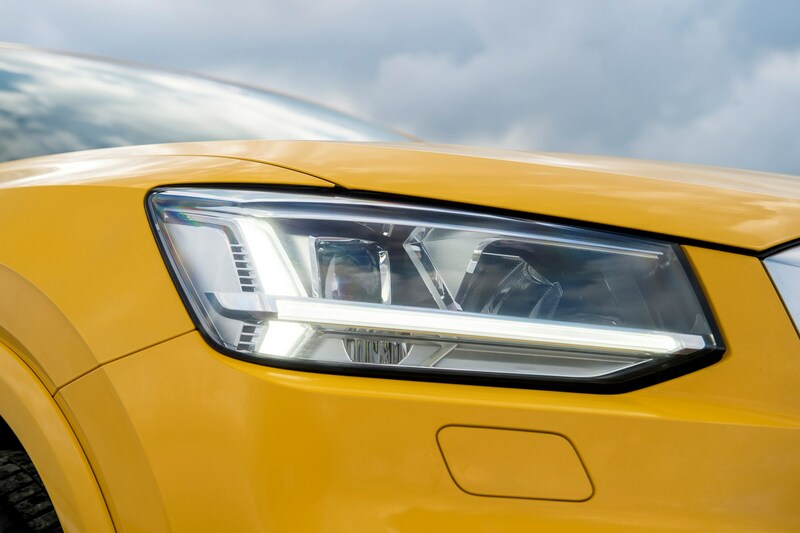 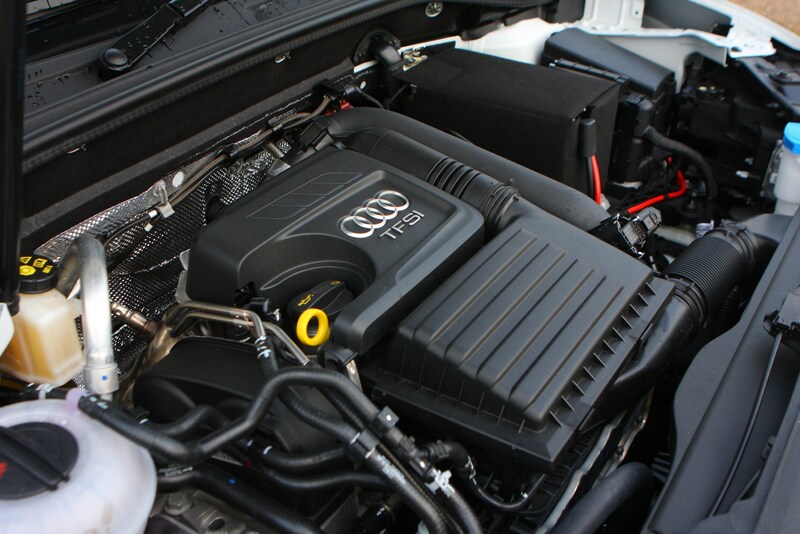 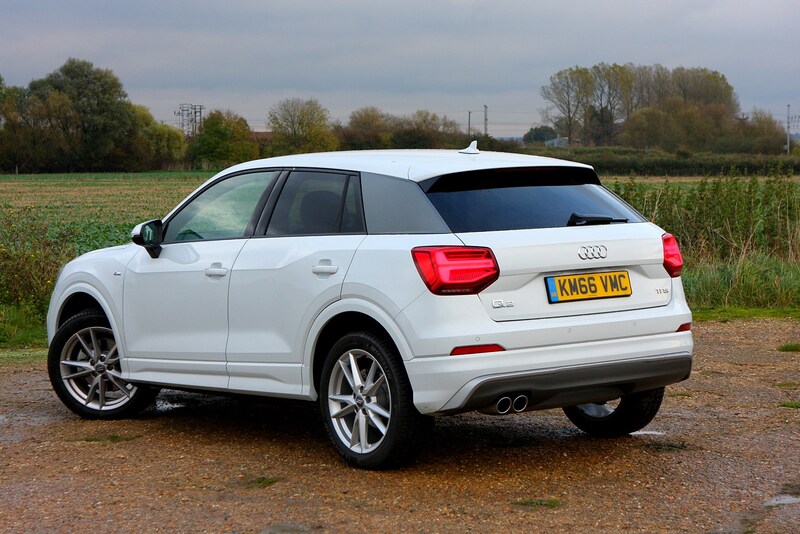 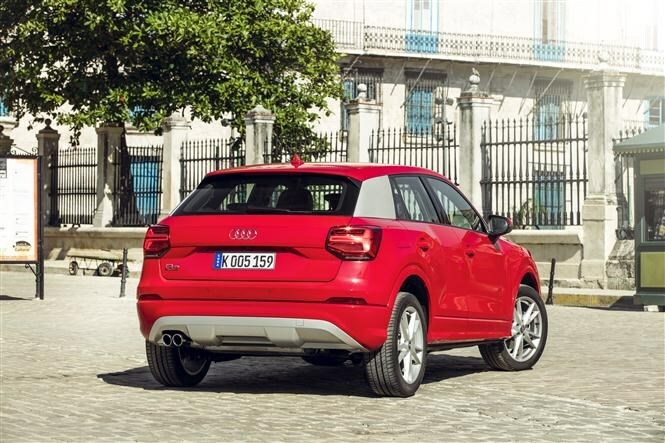 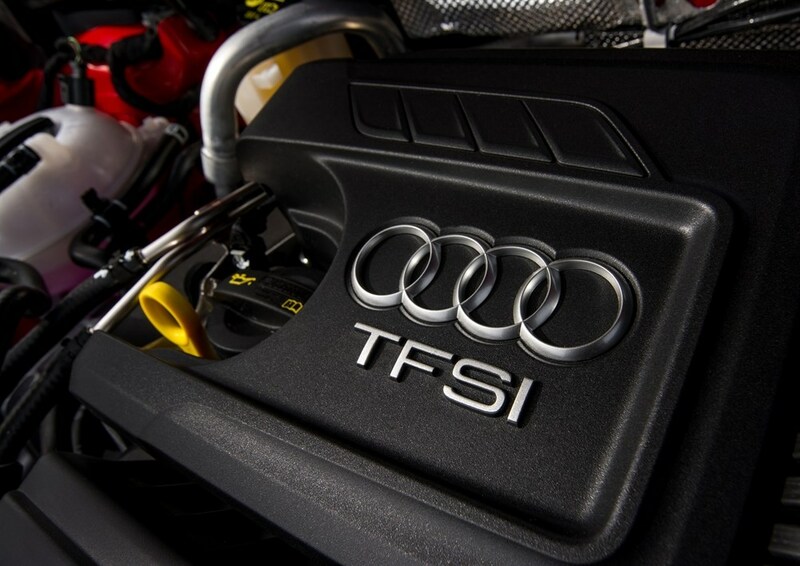 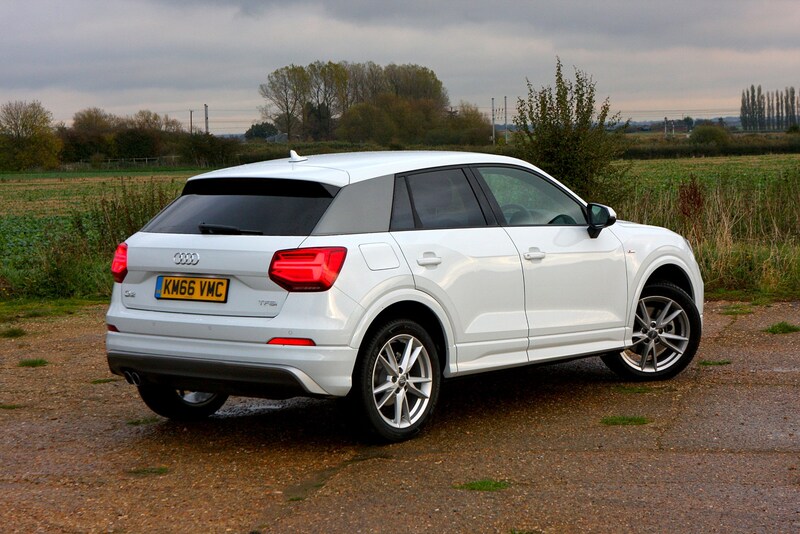 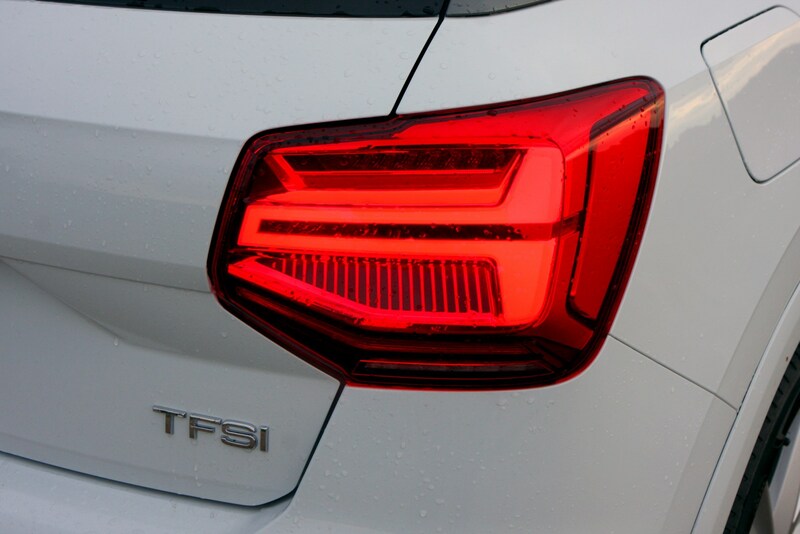 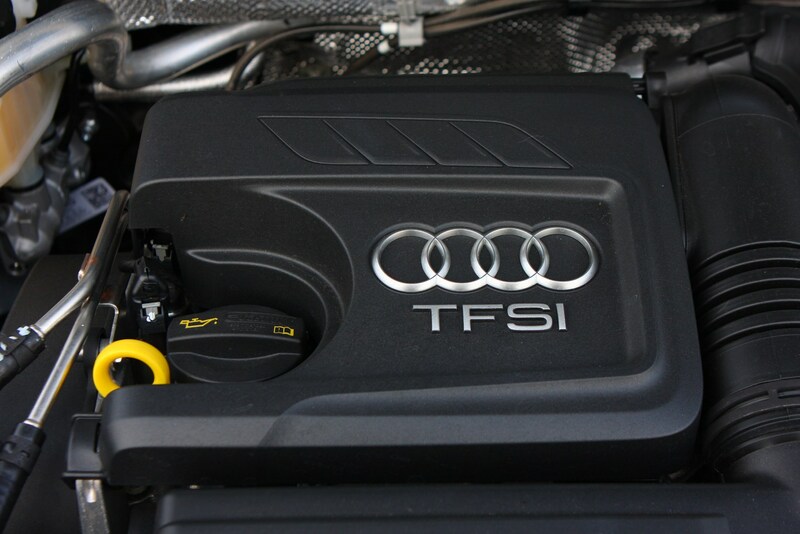 The entry-level Q2 is the 1.0-litre three-cylinder TSI turbocharged petrol with 116hp - badged 30 TFSI. 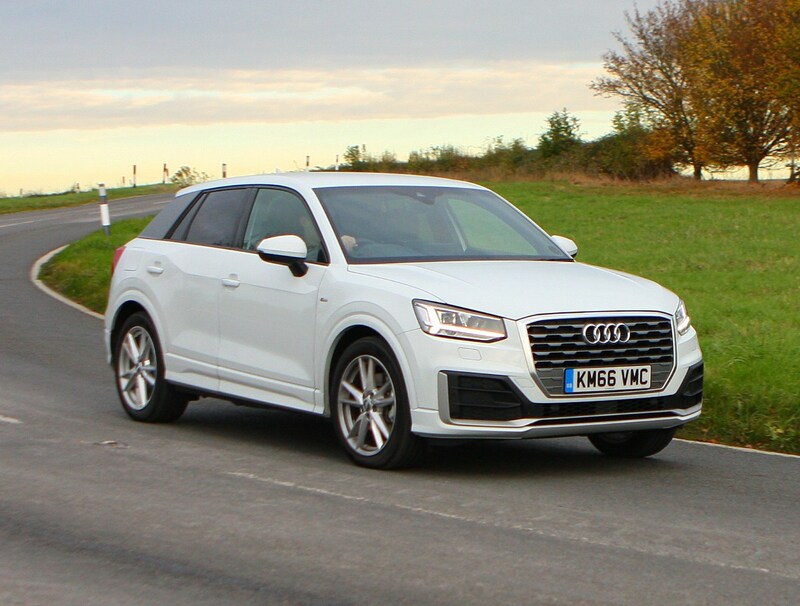 Other choices include a 1.6-litre TDI diesel (30 TDI), also with 116hp, a 1.5-litre TFSI turbo petrol (35 TFSI) and a 2.0-litre TDI diesel (35 TDI) – both with 150hp. 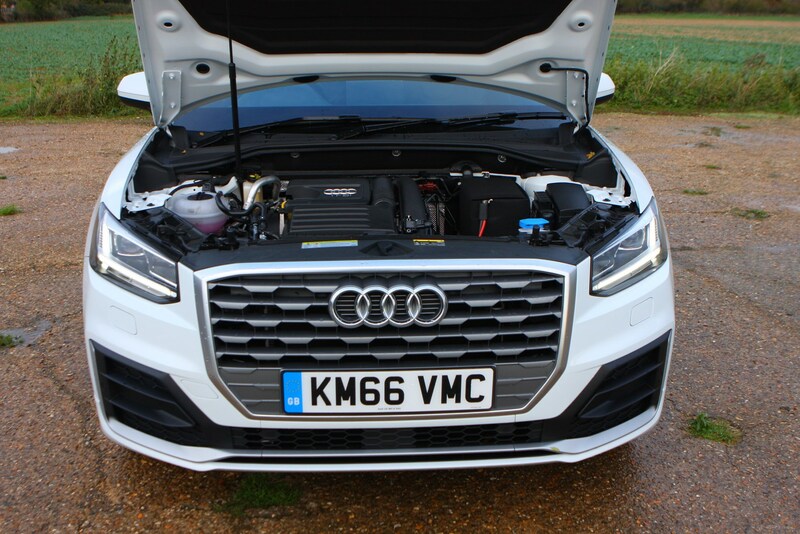 Audi has deliberately matched the petrol and diesel power outputs, though the diesels will have more torque, greater economy and higher price tags. 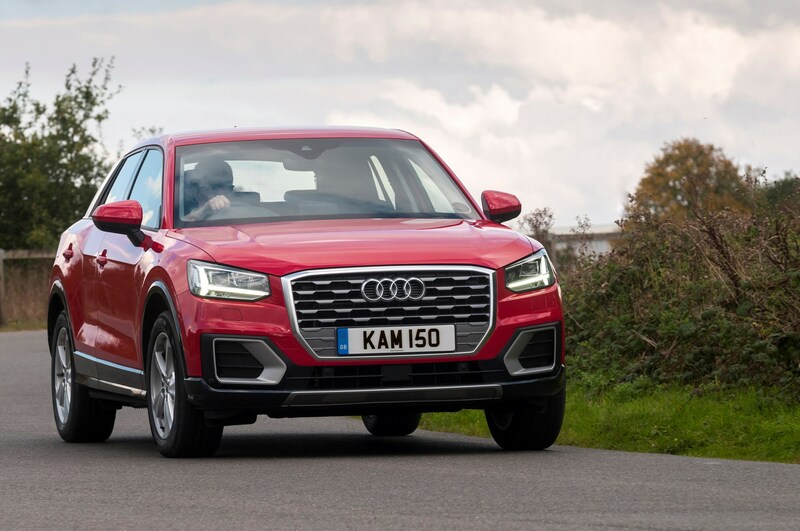 All the engines we’ve tested have suited the Q2’s character well, and even the smallest 1.0 provides decent shove, albeit with a strained three-cylinder thrum. 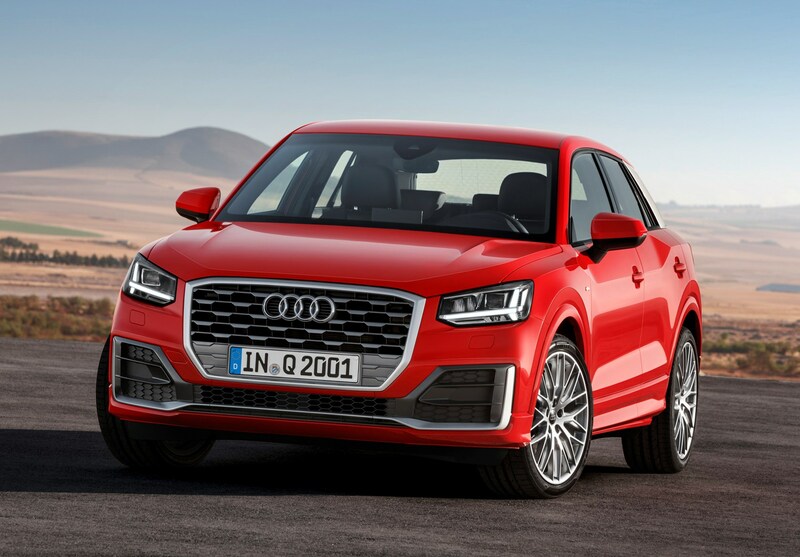 There’s also a 190hp 2.0-litre TFSI petrol with Quattro all-wheel drive (40 TFSI), coming exclusively in S Line or Black Edition spec and with an S Tronic automatic gearbox. 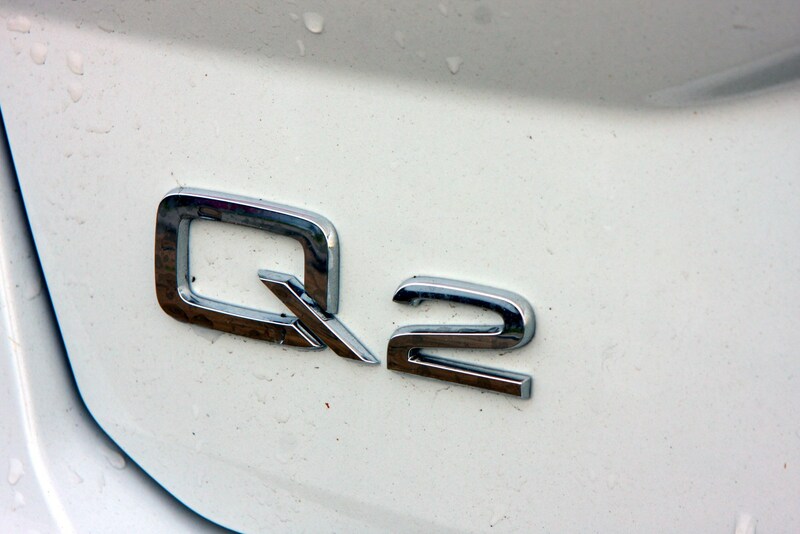 This was the fastest Q2 you could get up until late 2018 when a high-performance SQ2 joined the range. 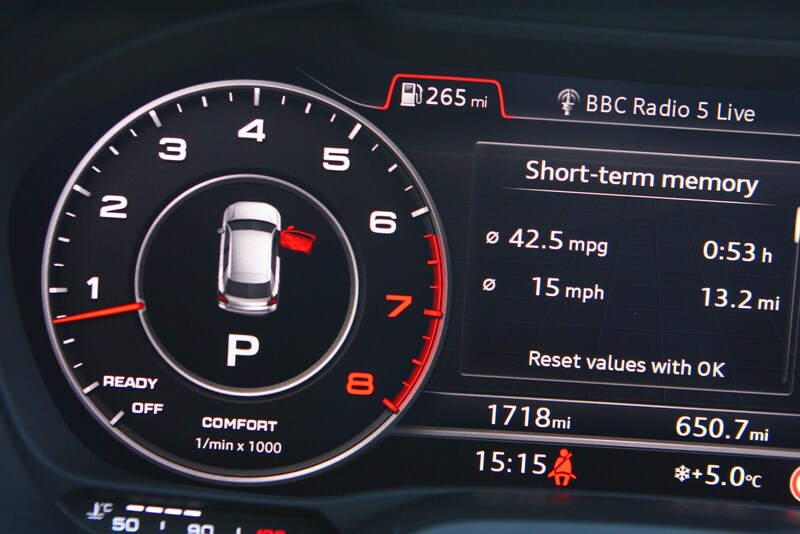 Particularly interesting is the 1.5-litre TFSI petrol with 150hp; this is a high-tech engine, able to deactivate two of its four cylinders during low-stress driving in order to save fuel – a process that’s so smooth you’ll only notice it if you’re watching the display on the instrument cluster. 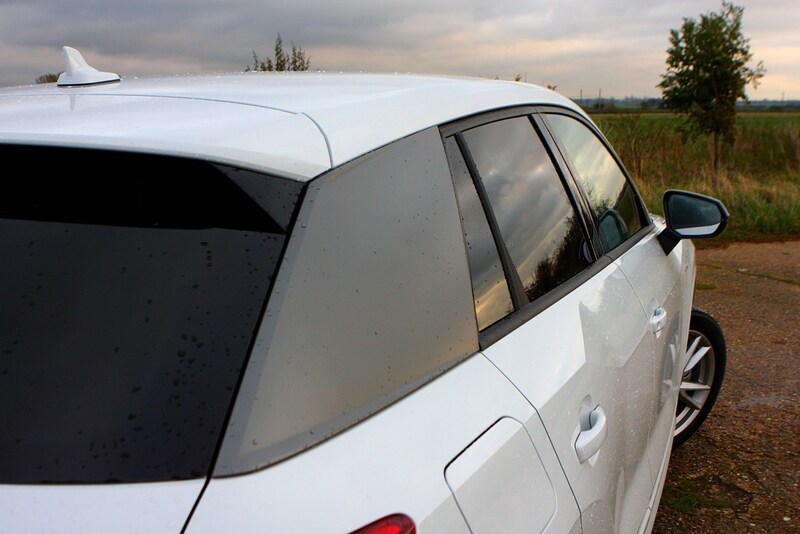 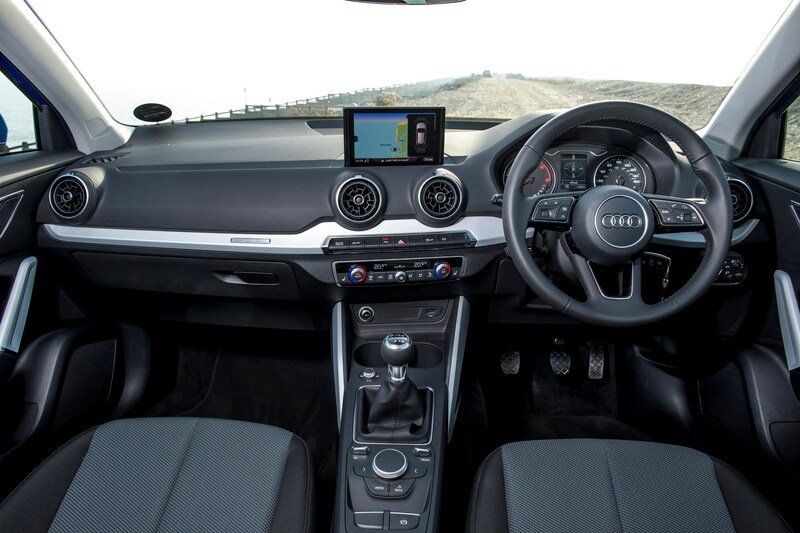 Yet it also provides punchy performance and plenty of driving enjoyment. 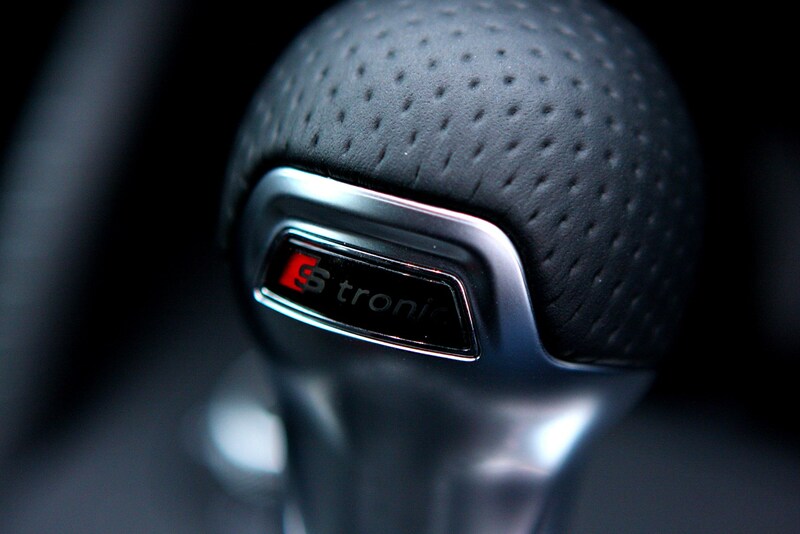 The S Tronic transmission is a seven-speed unit that’s very snappy under manual control, although automatic gearchanges don’t always happen when you’d like them to. 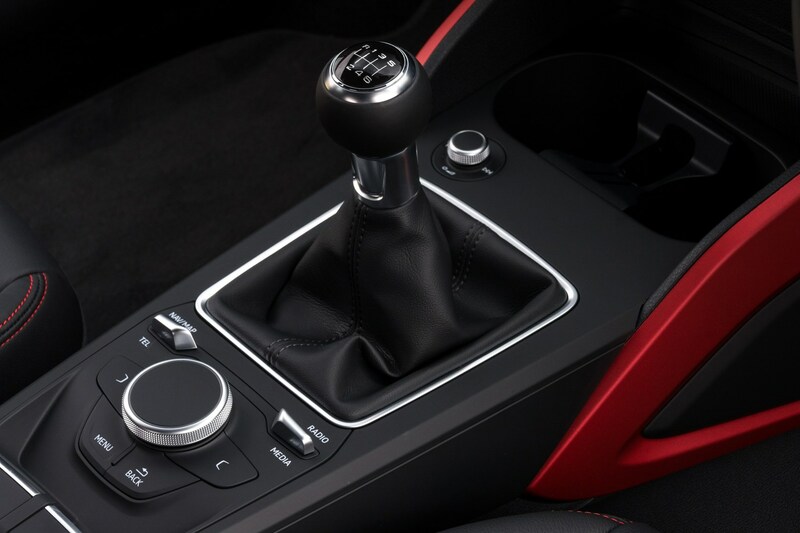 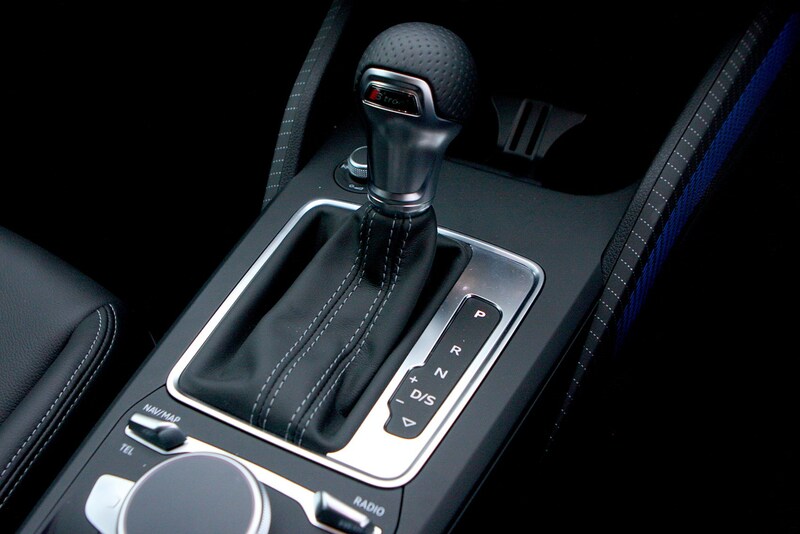 The standard six-speed manual gearbox is notably cheaper and has a pleasant action and its gear ratios are well matched, allowing for easy progress. 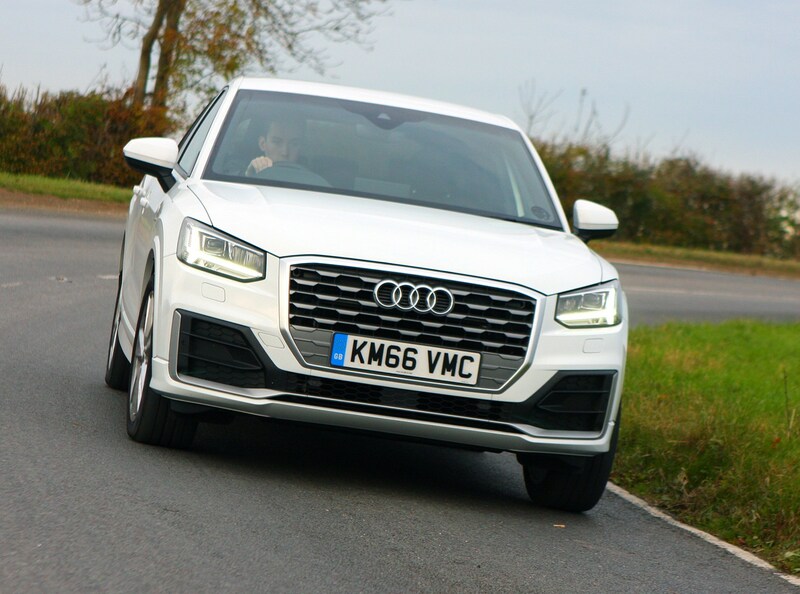 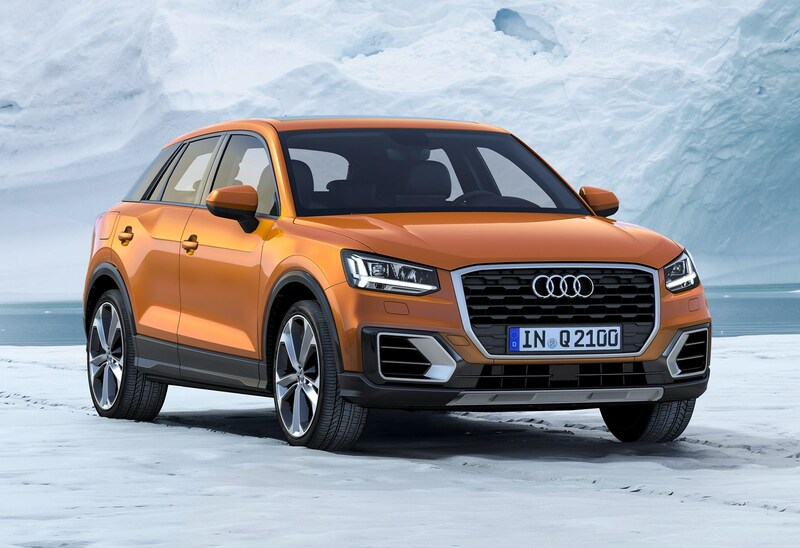 Most Q2s will be equipped with front-wheel drive and traction is good; we’d question the need for Quattro four-wheel drive (available only on the higher-powered engines) for most buyers. 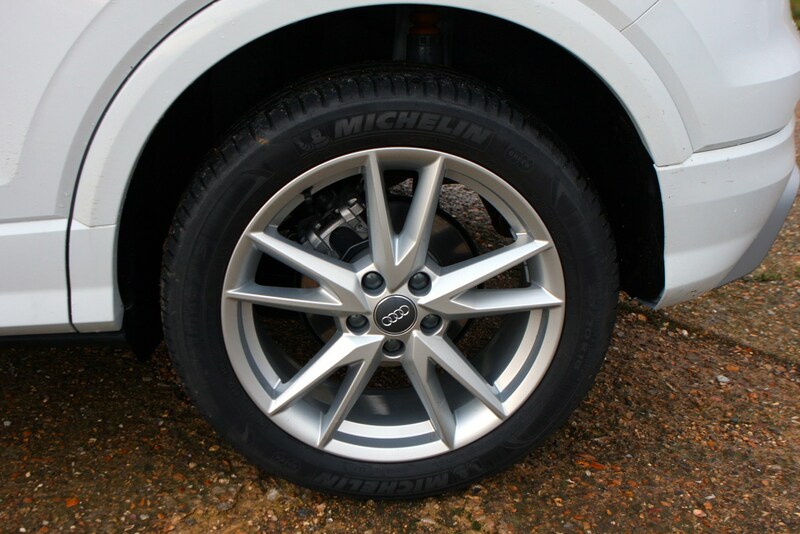 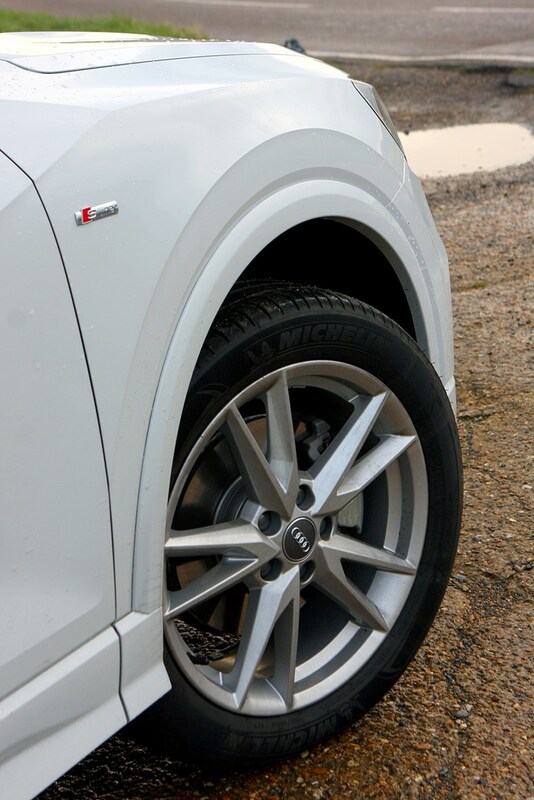 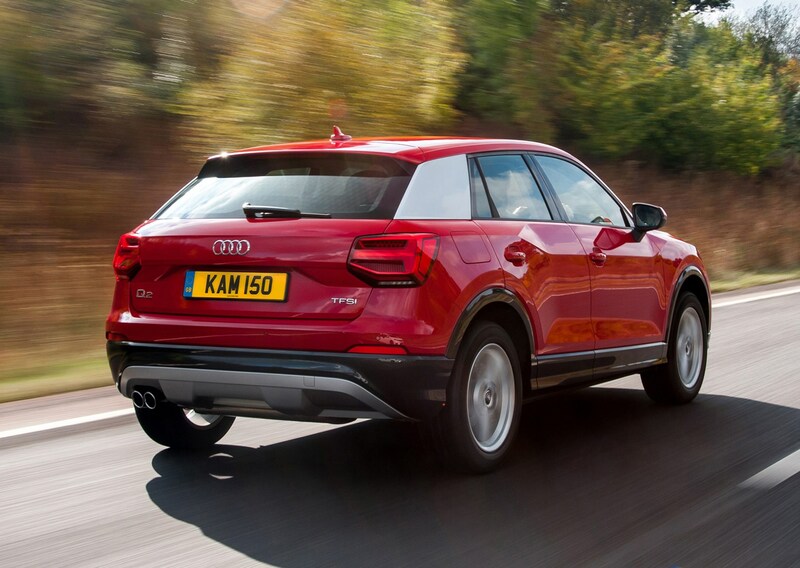 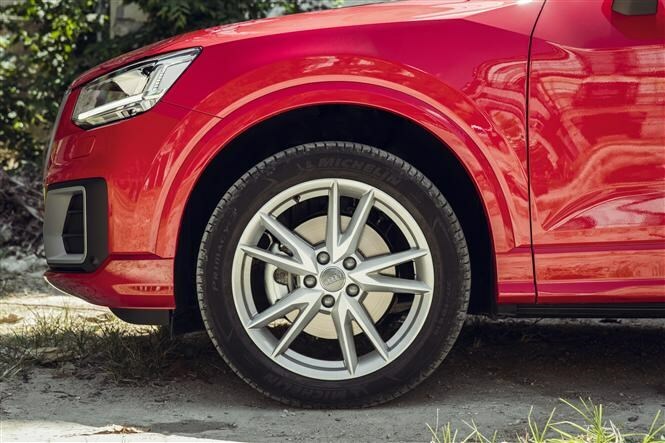 Even on 18-inch alloys the Q2 is comfortable on all but the bumpiest roads – regardless of whether you stick with the standard suspension or plump for the optional adaptive set-up instead. 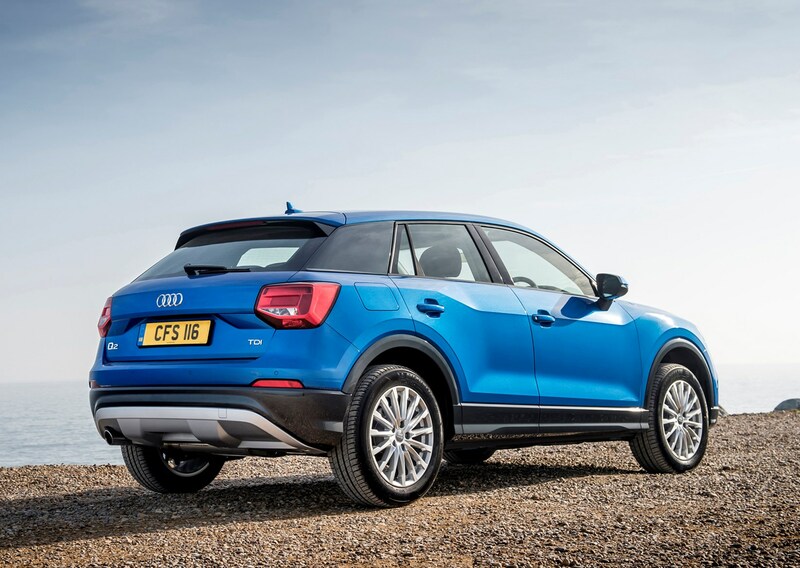 If you do go for the latter, selecting Dynamic helps keep roll in the corners under greater control, which suits the sharp steering and generally eager responses of the Q2’s chassis. 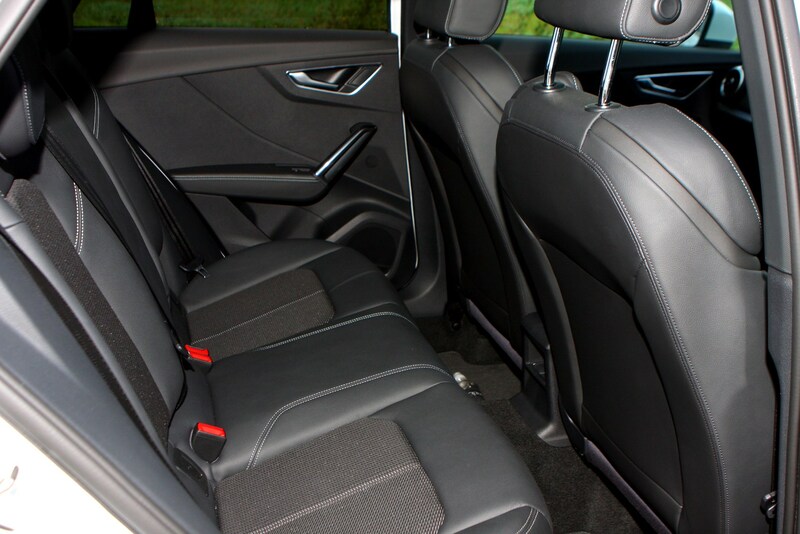 The ride gets firmer as a result, but you can always switch back to Comfort once you’ve finished having fun. 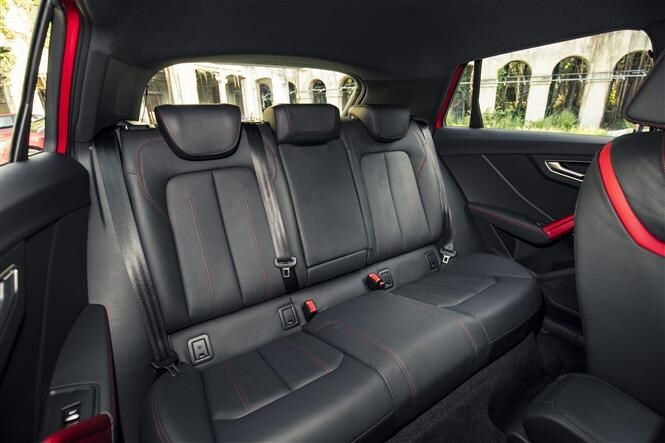 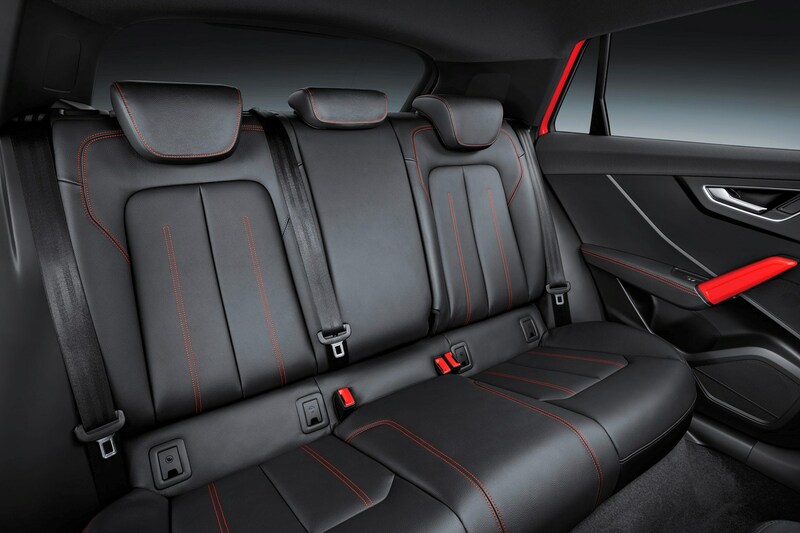 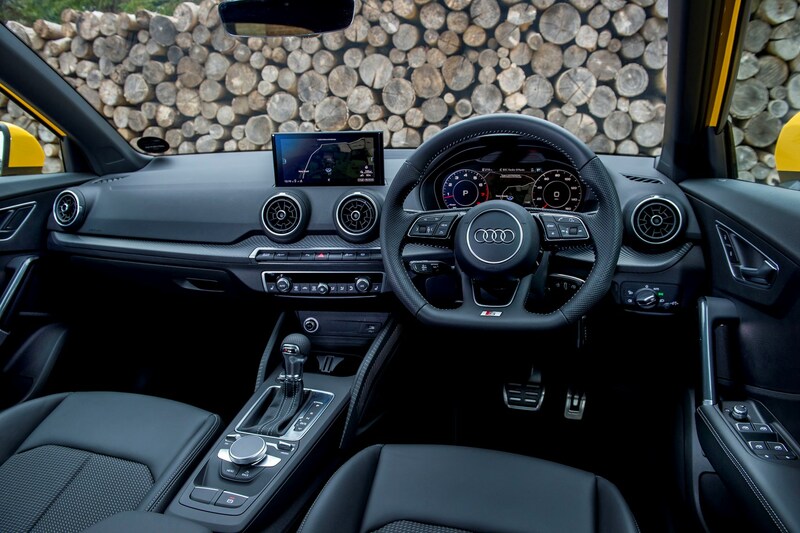 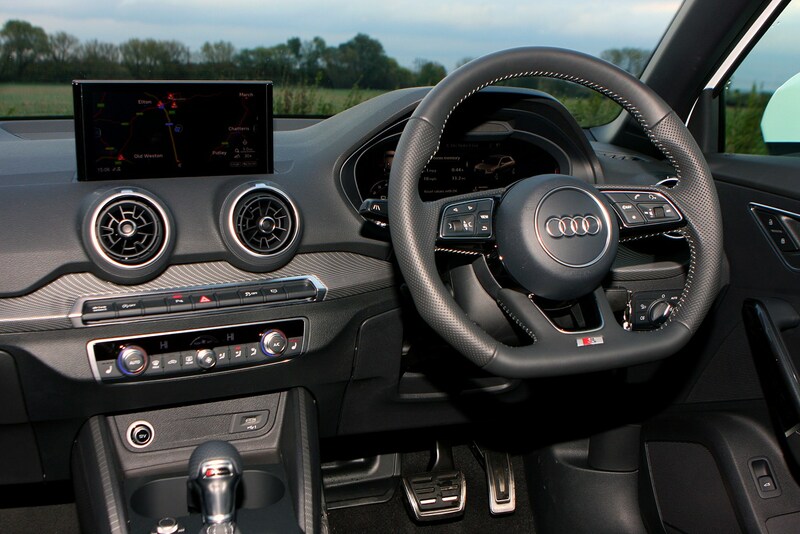 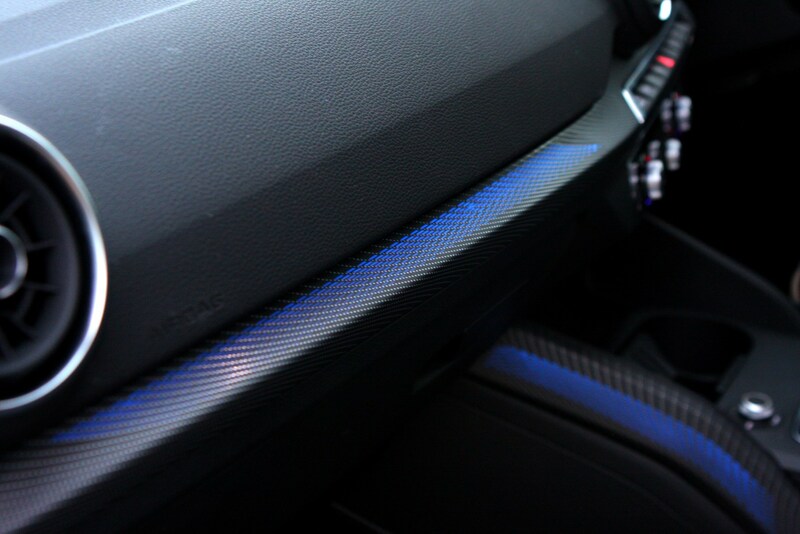 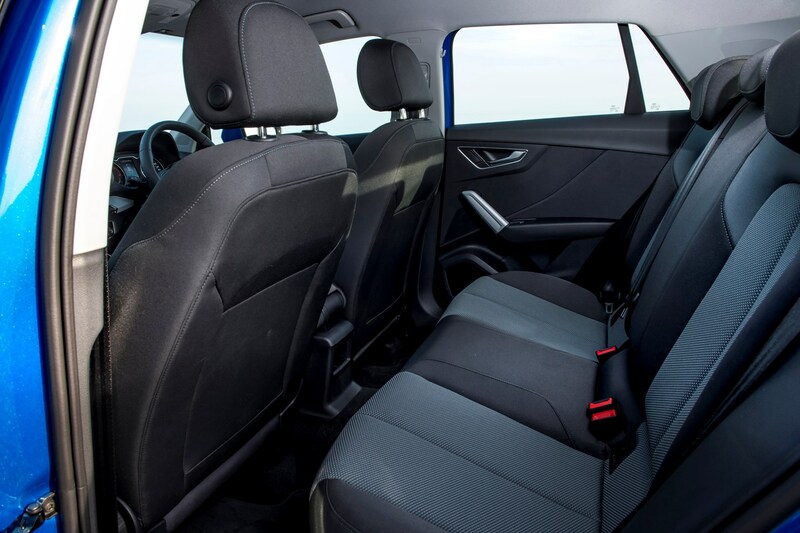 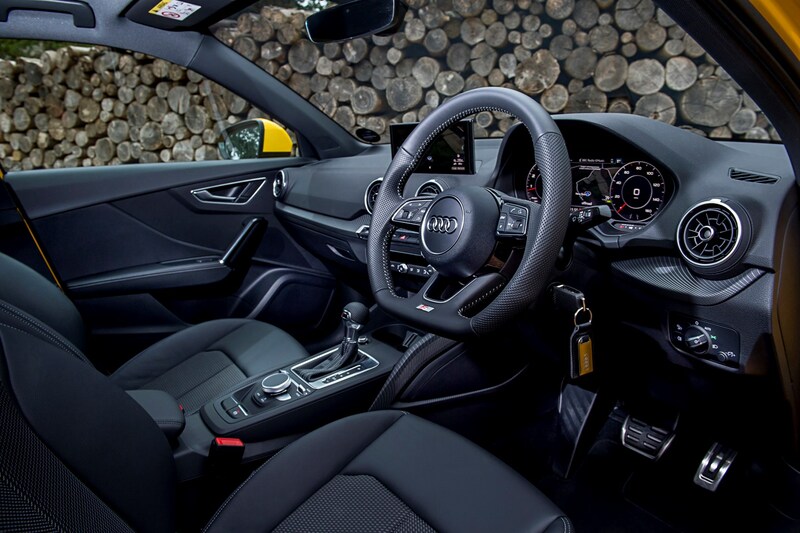 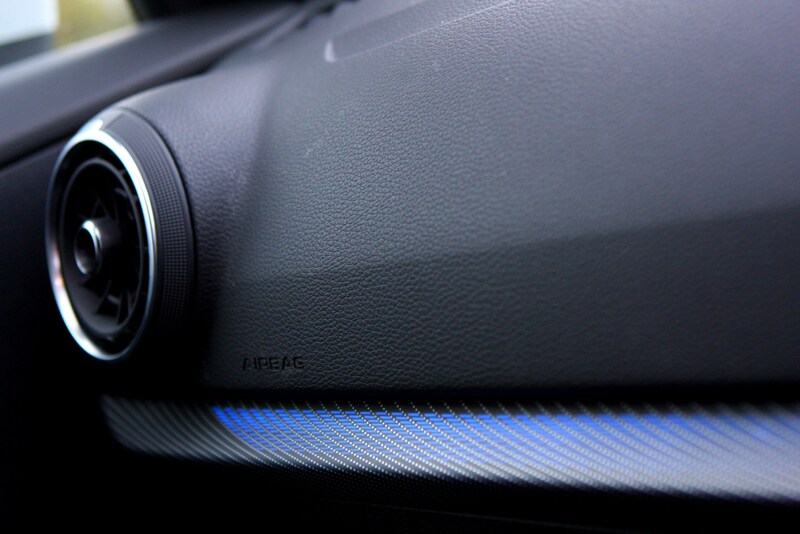 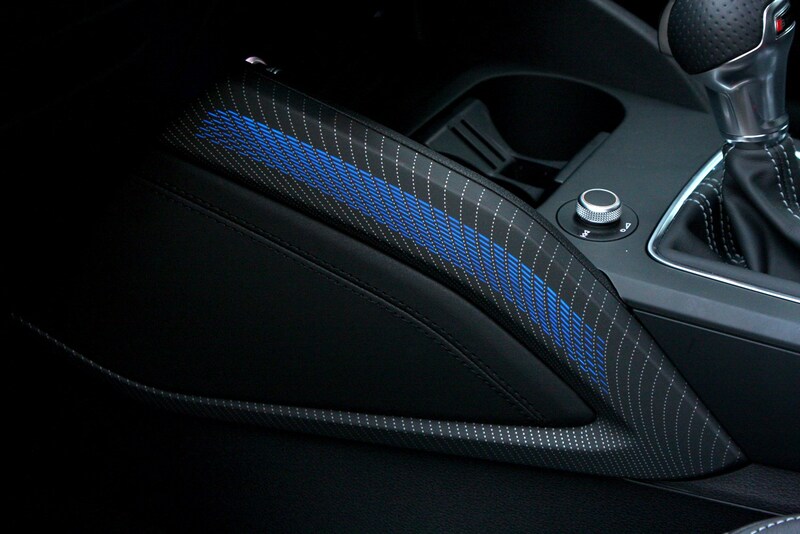 The Q2's interior is largely lifted from the A3 hatchback, with a simple design and plush materials used for the majority of the dashboard, albeit with some colourful elements dotted about. 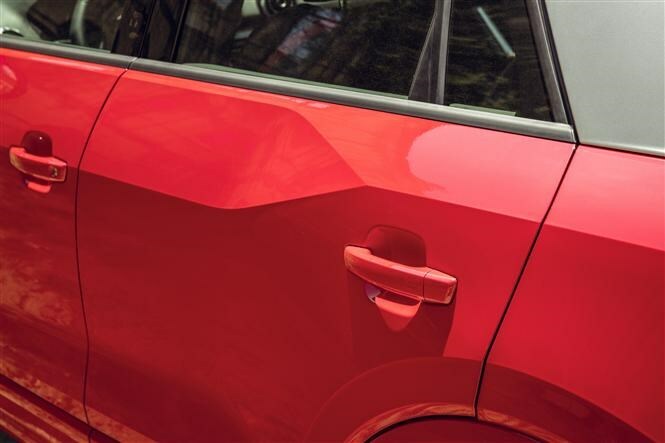 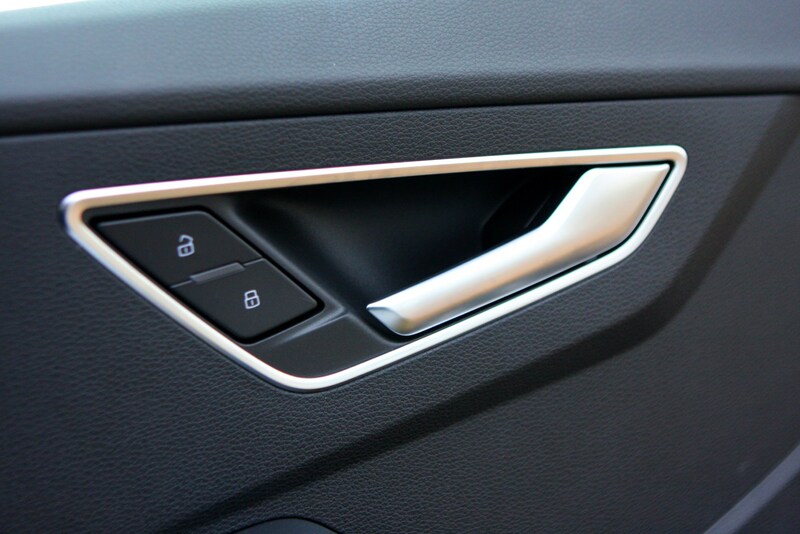 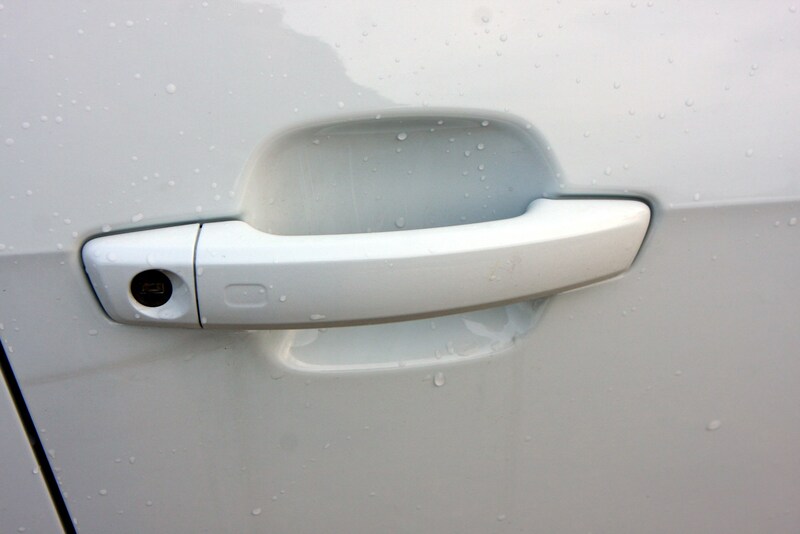 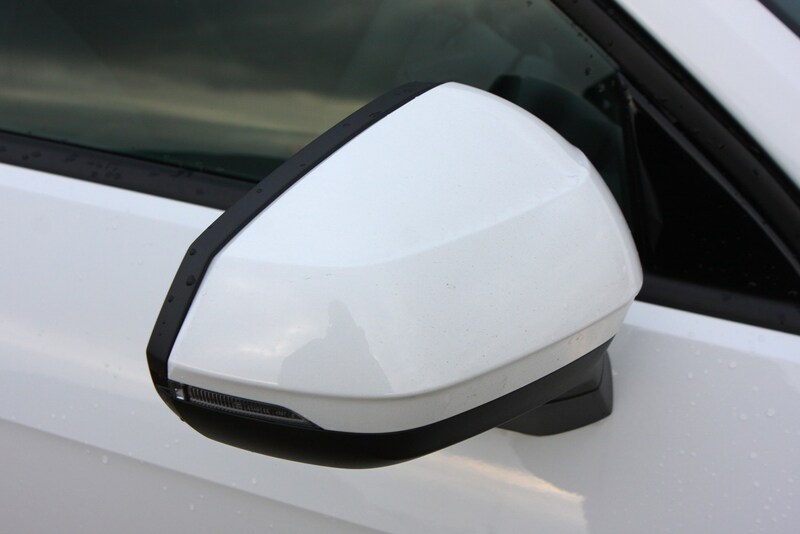 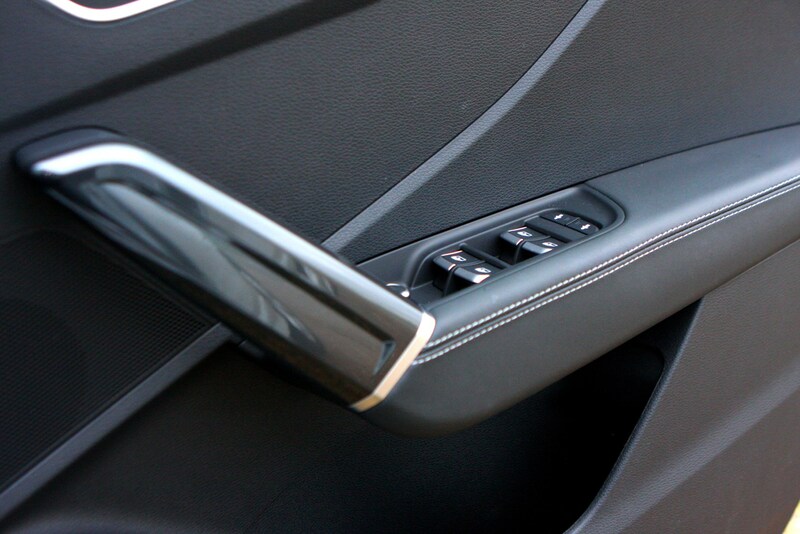 Items like the door handles are chunkier, the standard-fit central display is fixed on top of the dash like a protruding iPad, and you can pick contrasting colours for some of the trim elements. 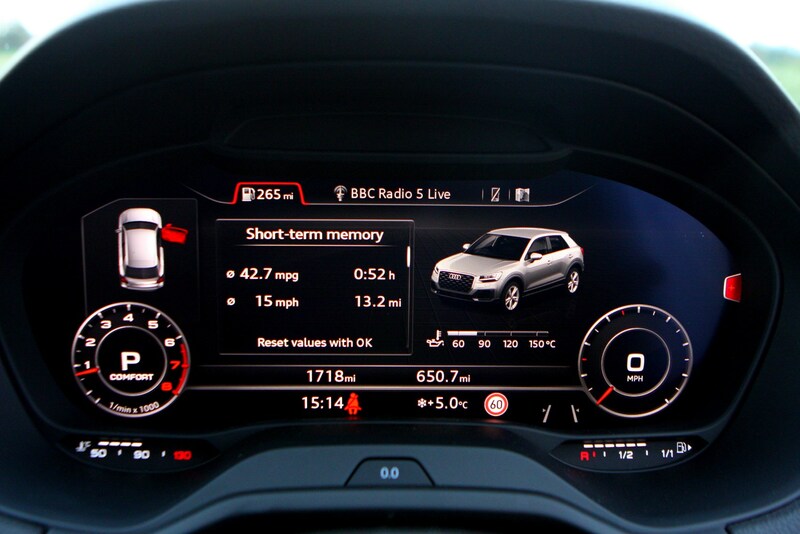 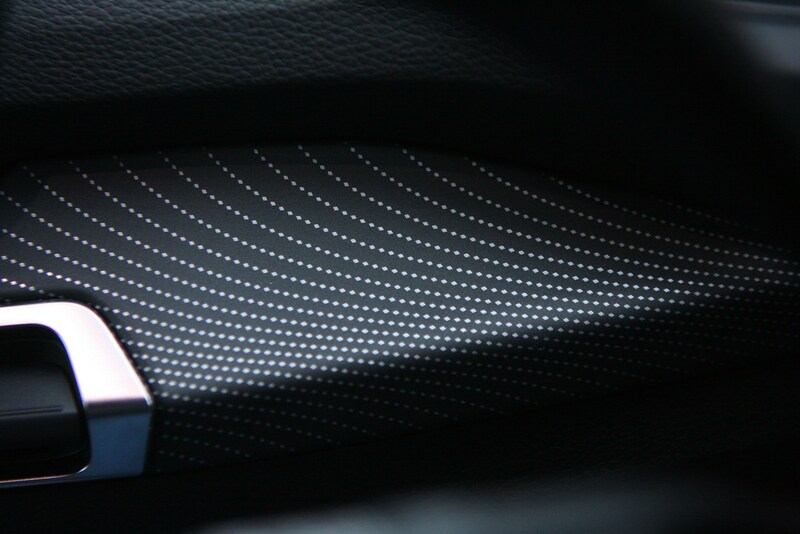 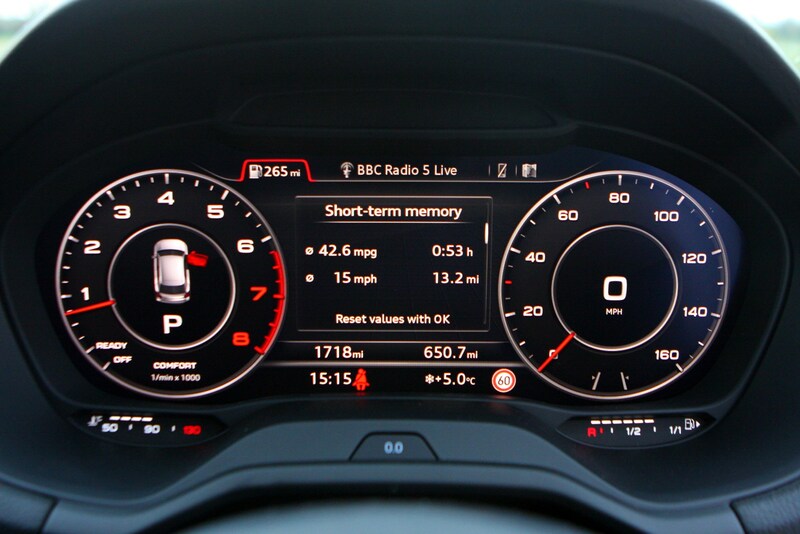 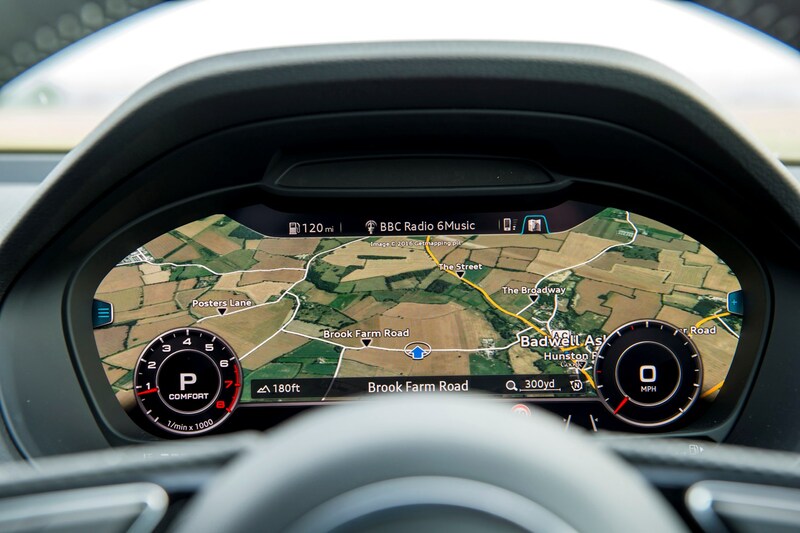 Given newer Audis' dashboards are peppered with touchscreens, the Q2 feels a bit dated already. 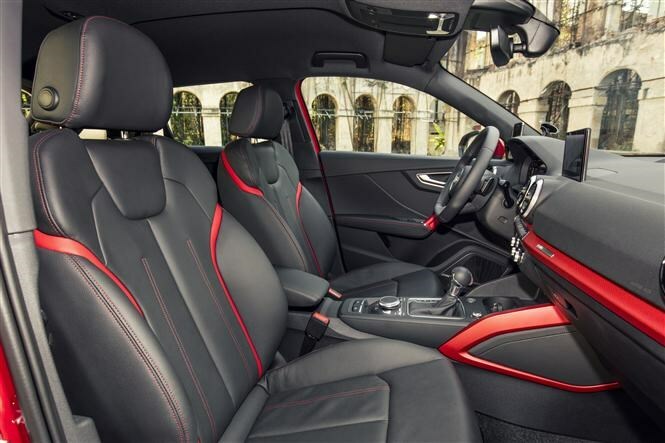 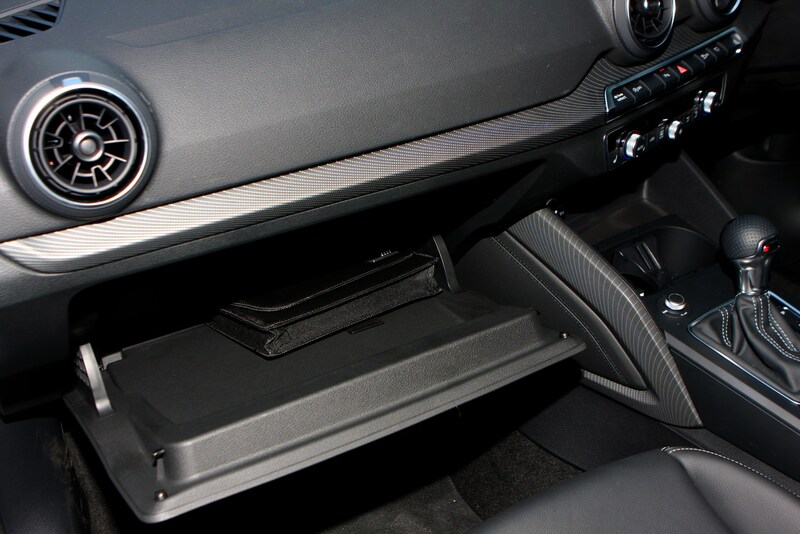 It's also notably more conservative than the MINI Countryman's interior. 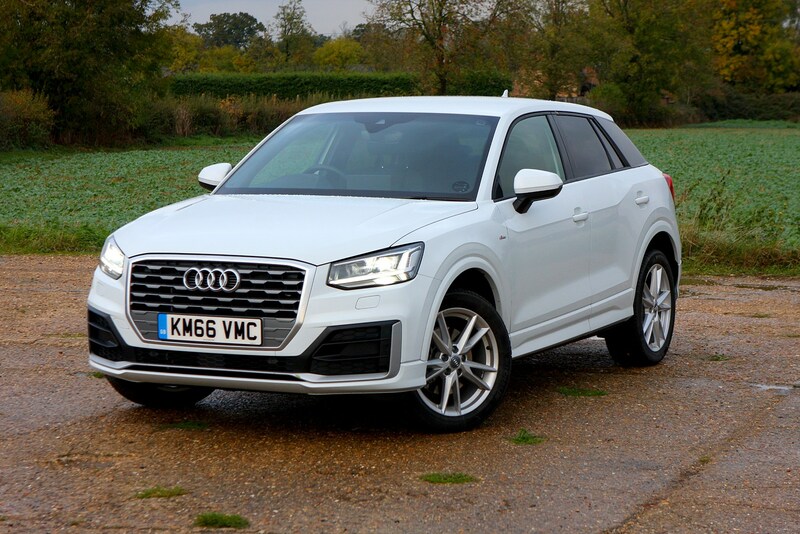 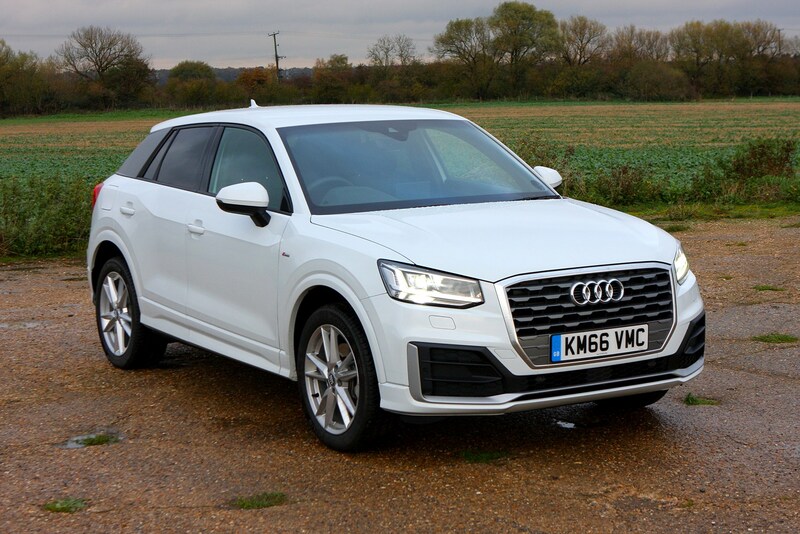 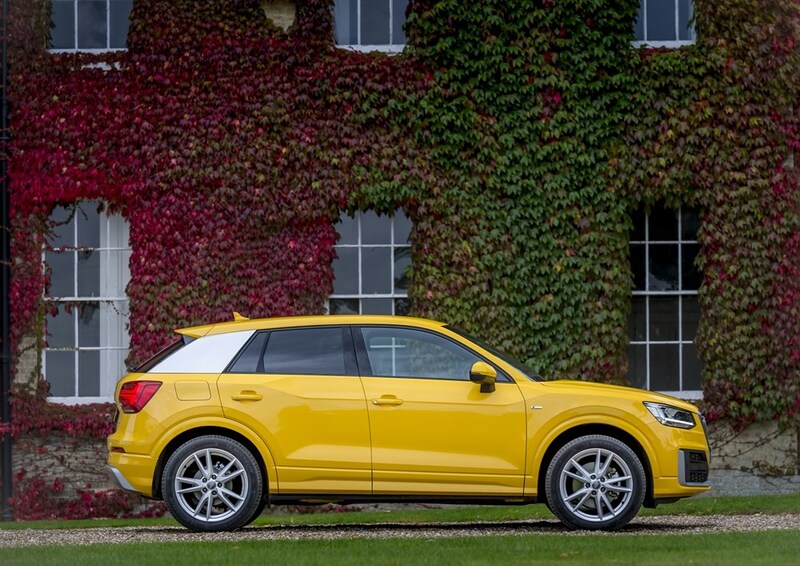 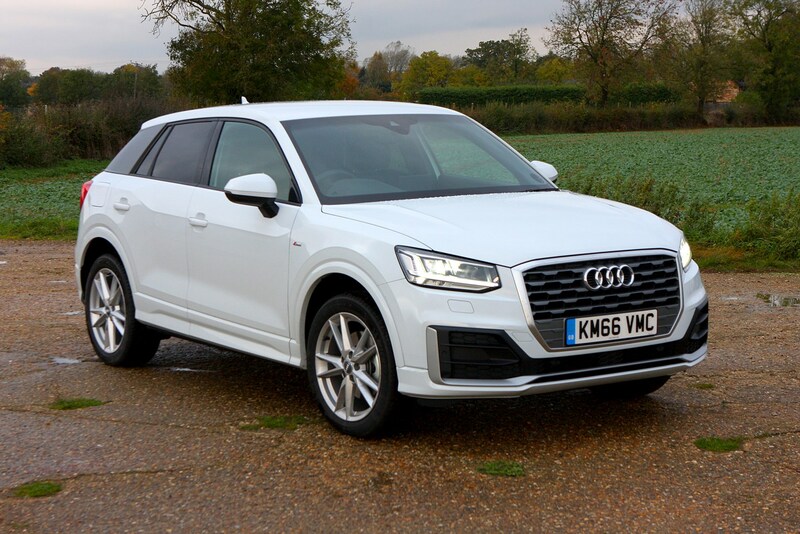 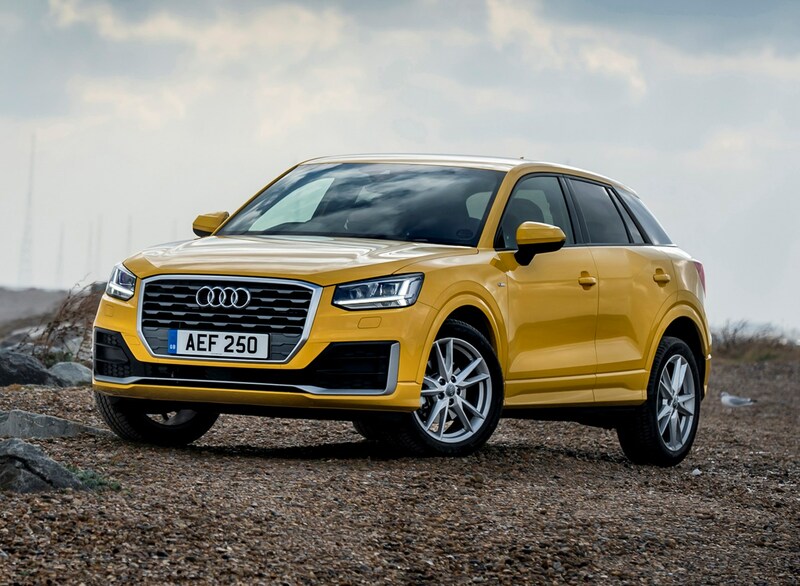 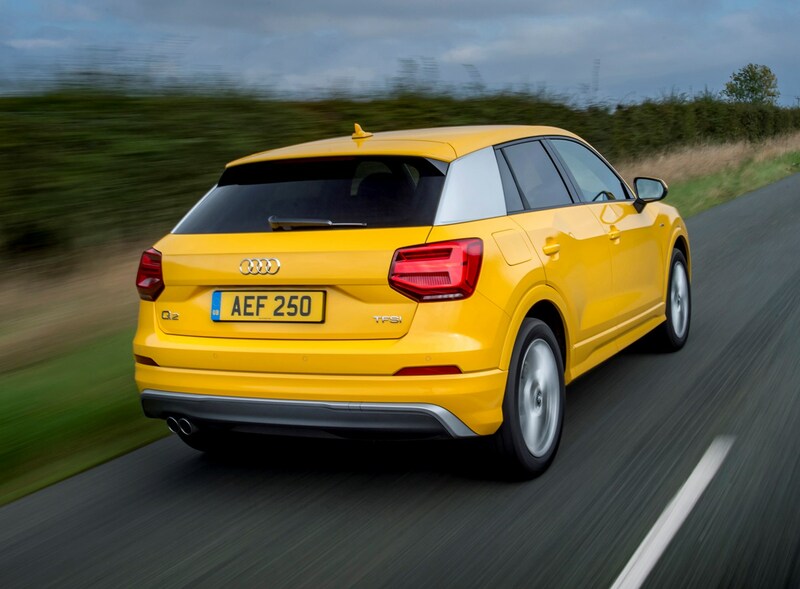 Equipment levels are reasonable across the Q2 range, but the bestselling Sport spec is particularly good value, splitting the difference between entry-level Audi Q2 SE and range-topping Audi Q2 S Line. 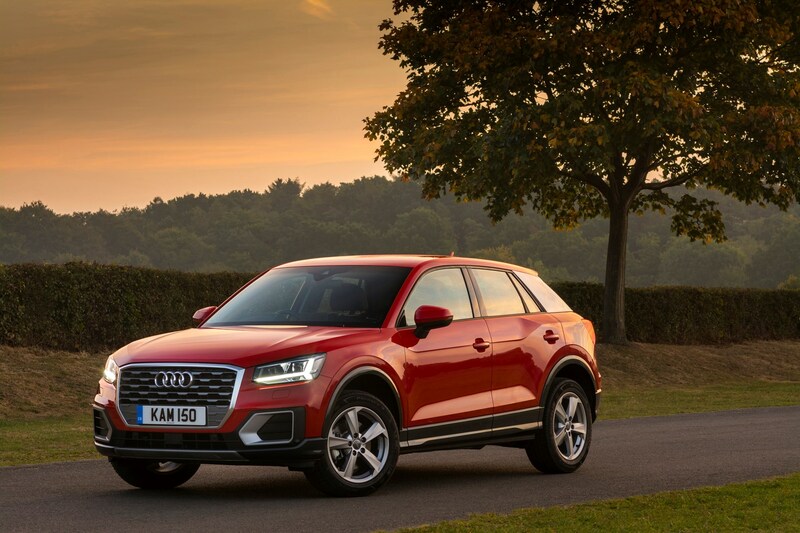 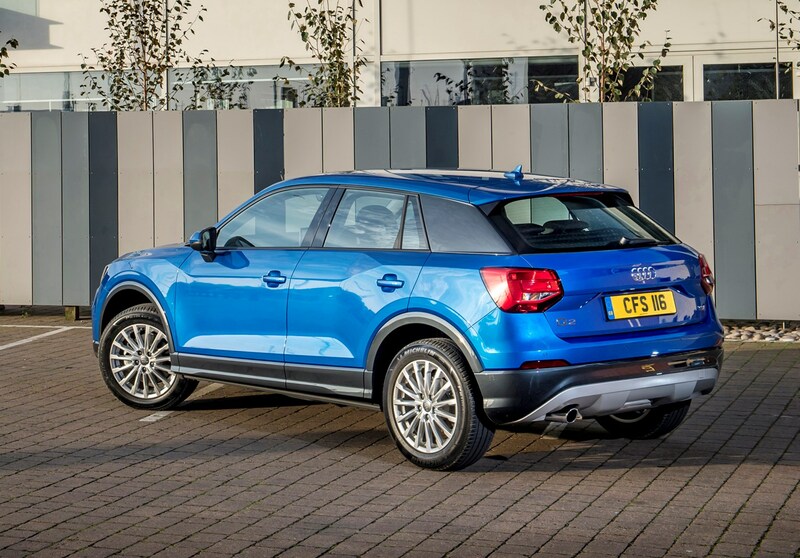 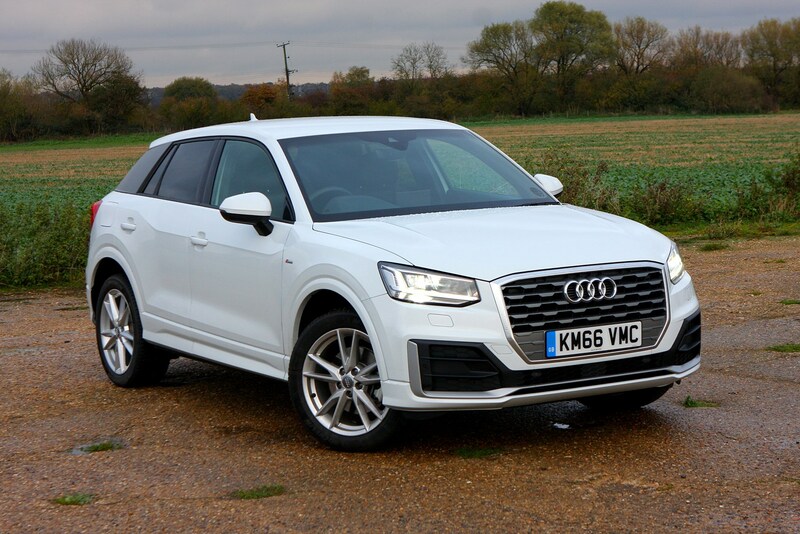 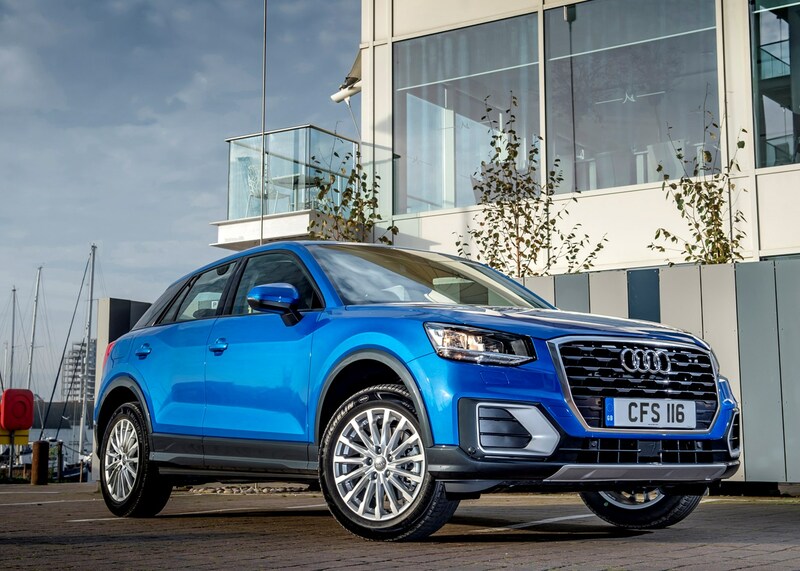 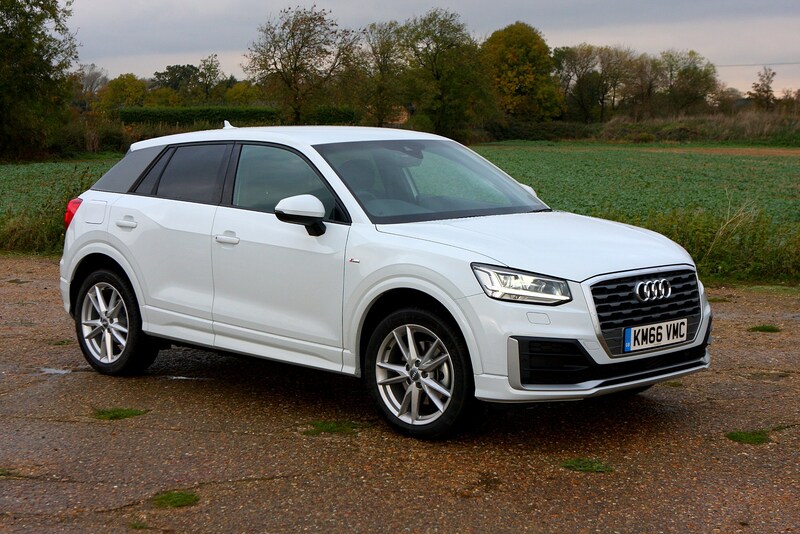 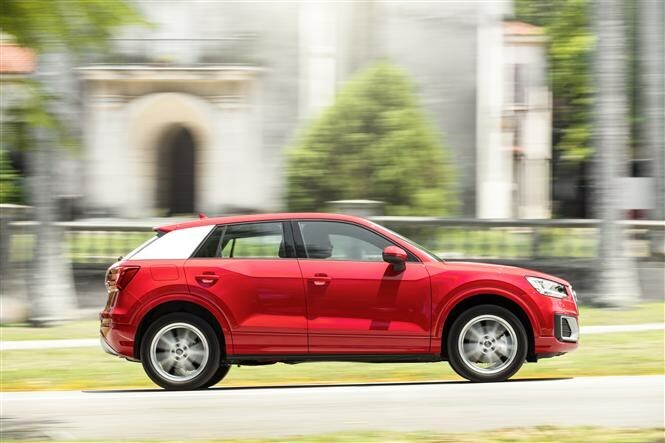 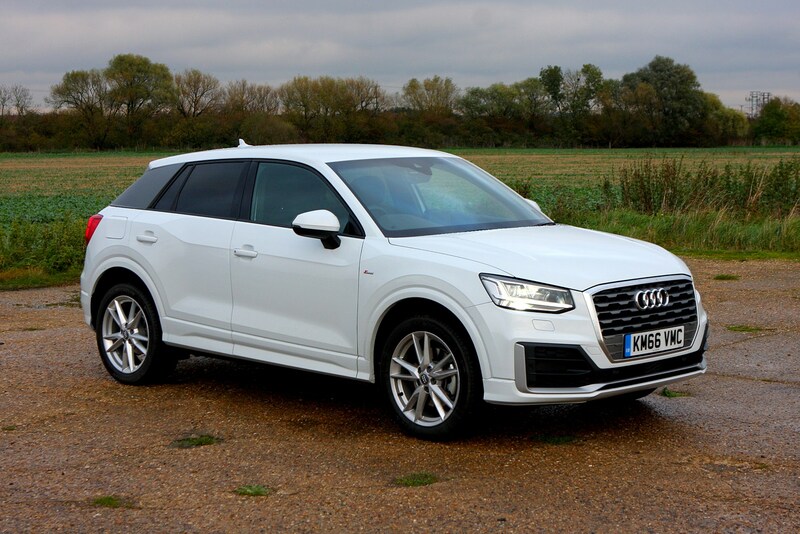 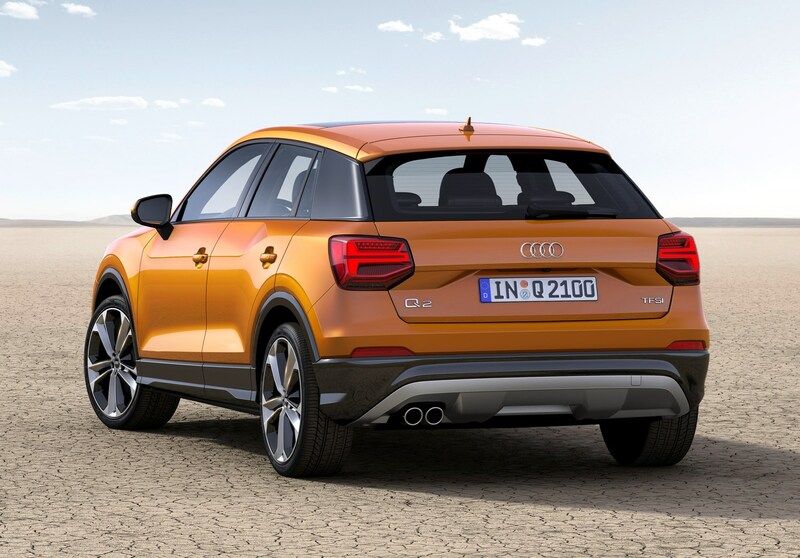 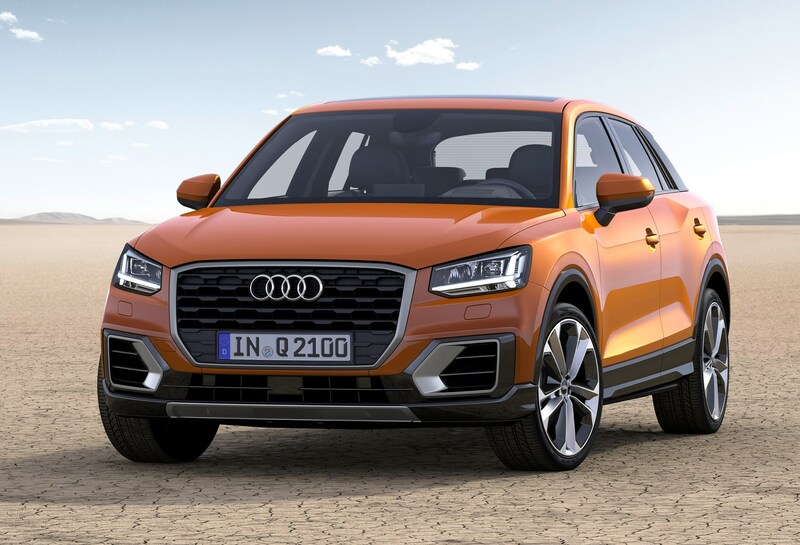 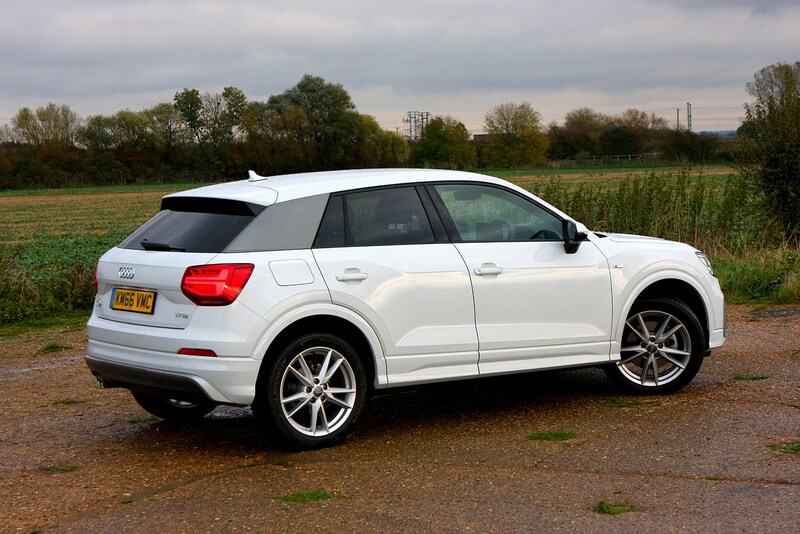 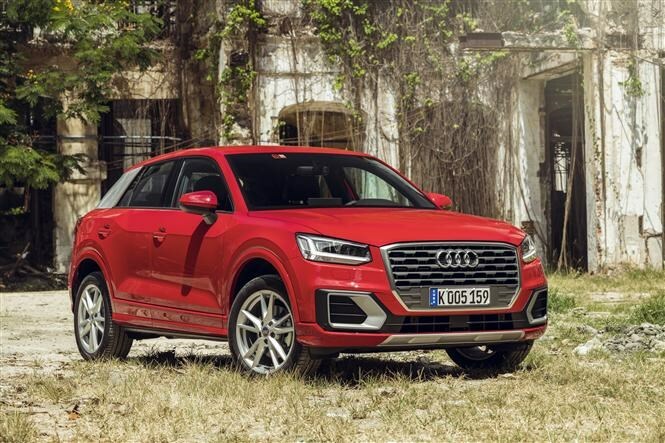 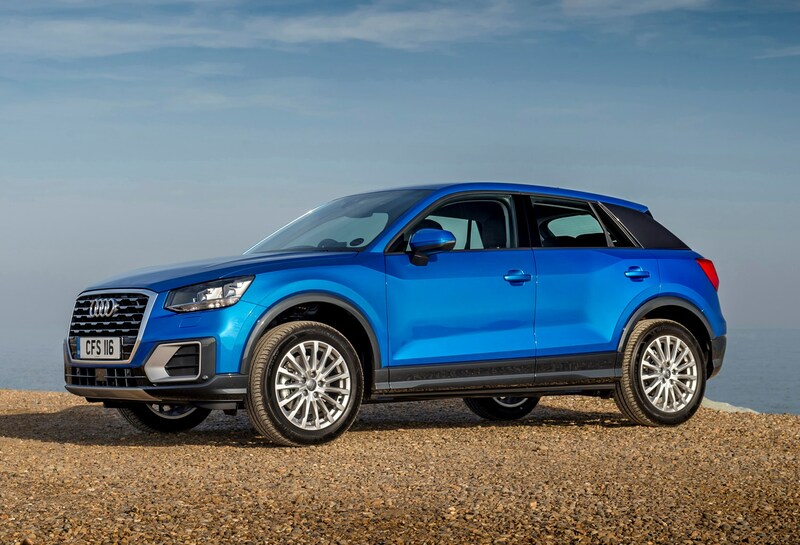 Standard features on the Q2 Sport include 17-inch alloys, contrasting Manhattan Grey exterior elements, satellite-navigation and cruise control. 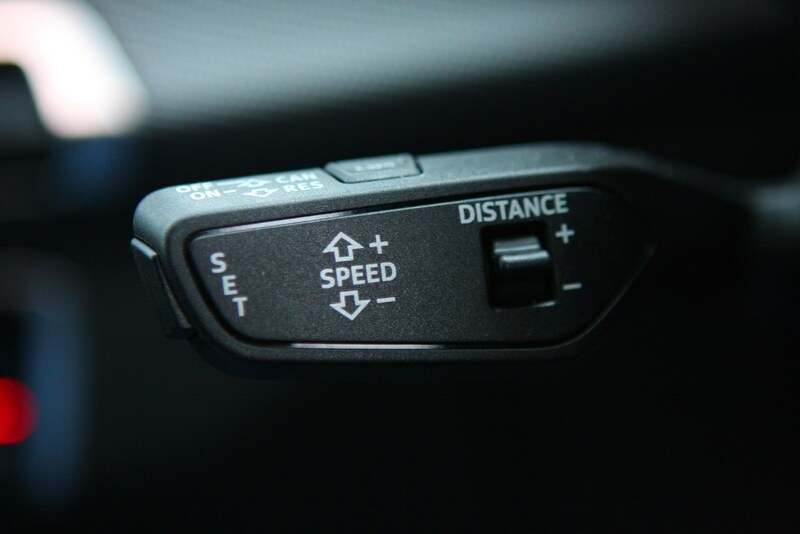 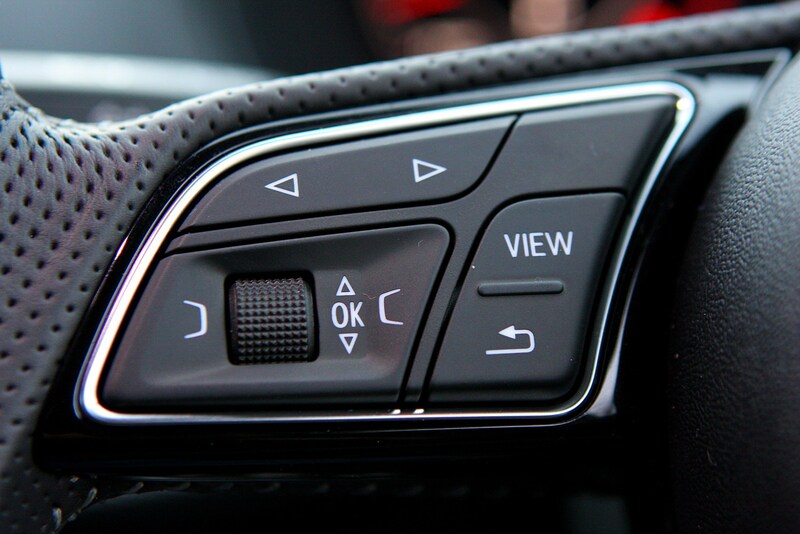 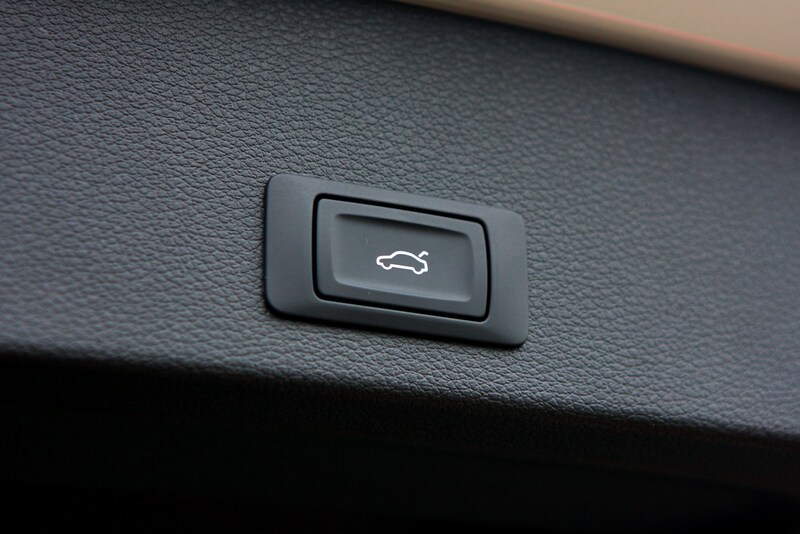 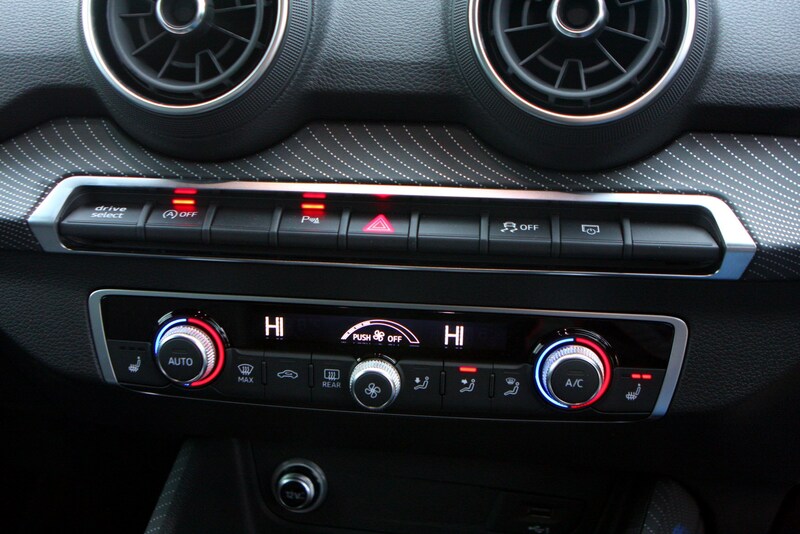 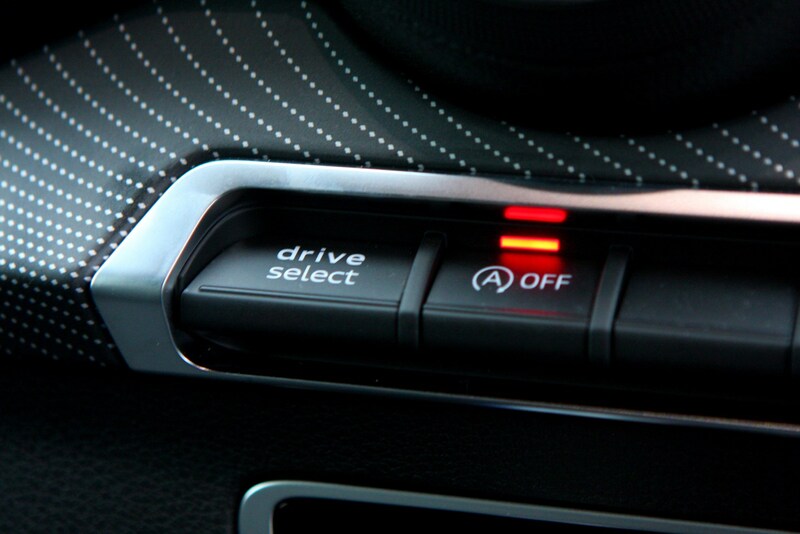 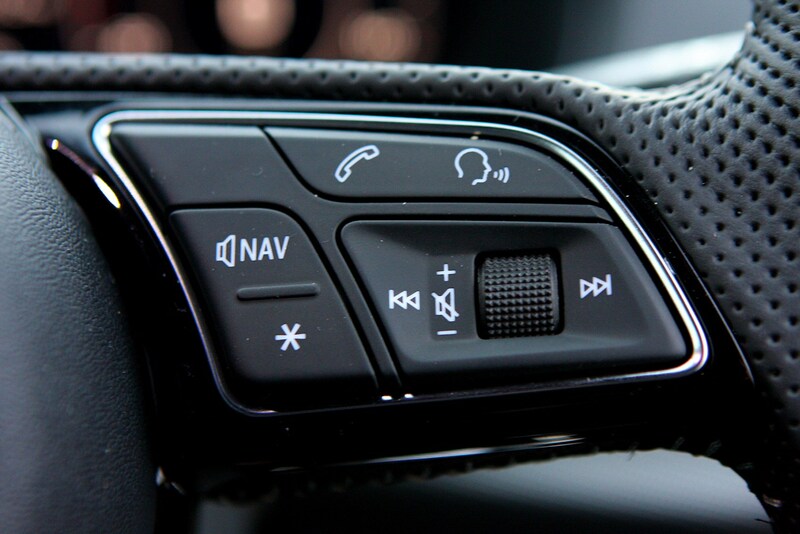 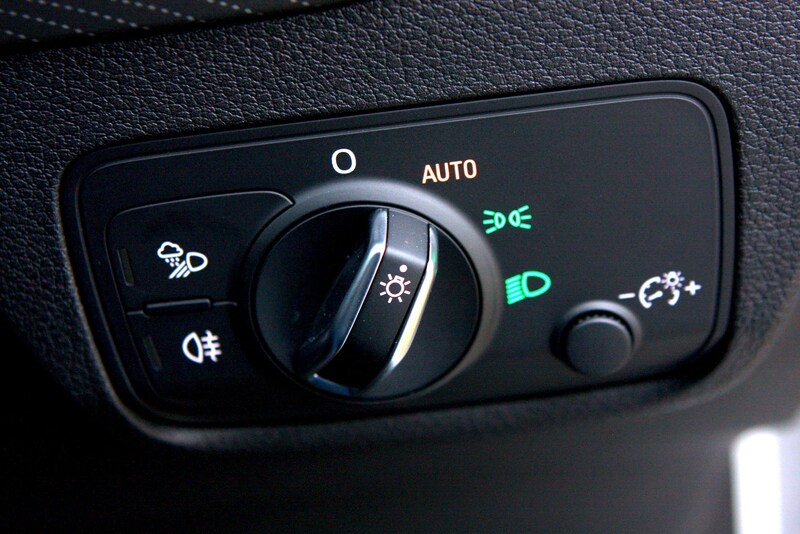 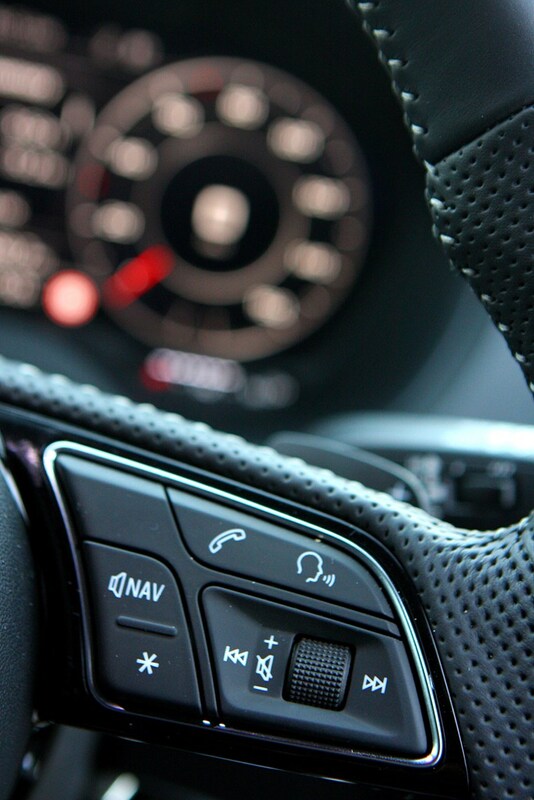 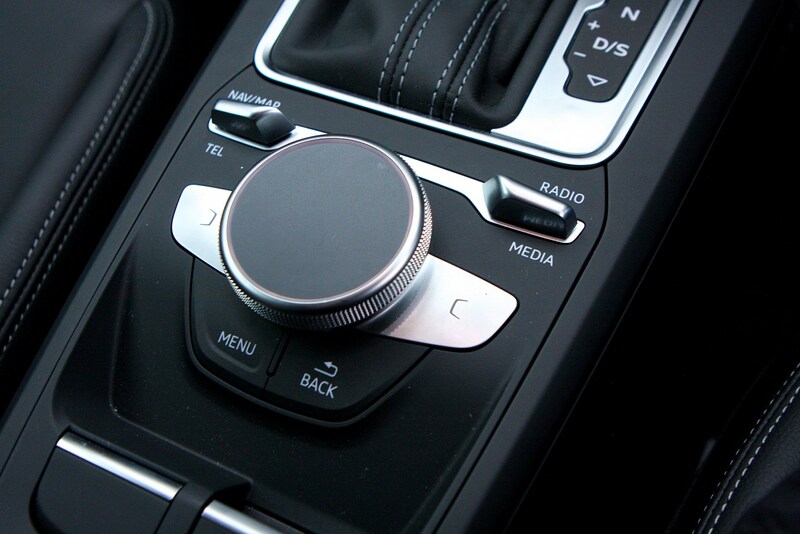 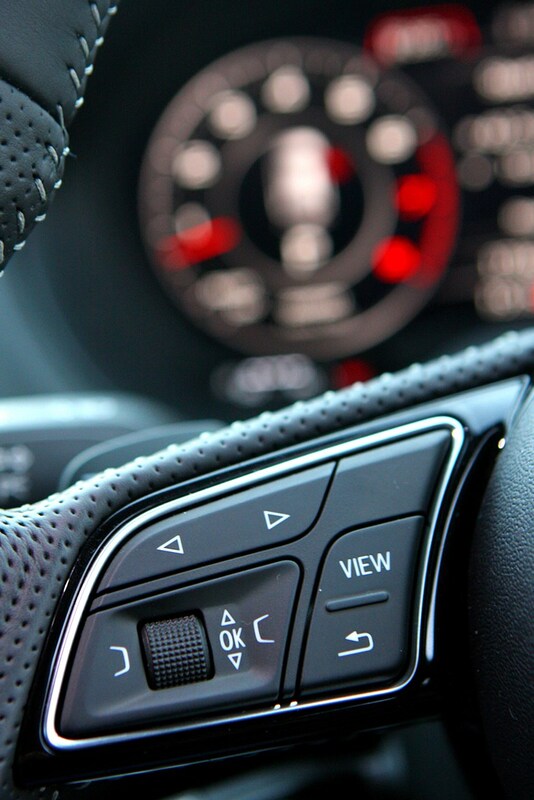 You also get Audi Drive Select, which allows you to tailor the car’s responses between Auto, Efficient, Comfort, Dynamic and Individual settings. 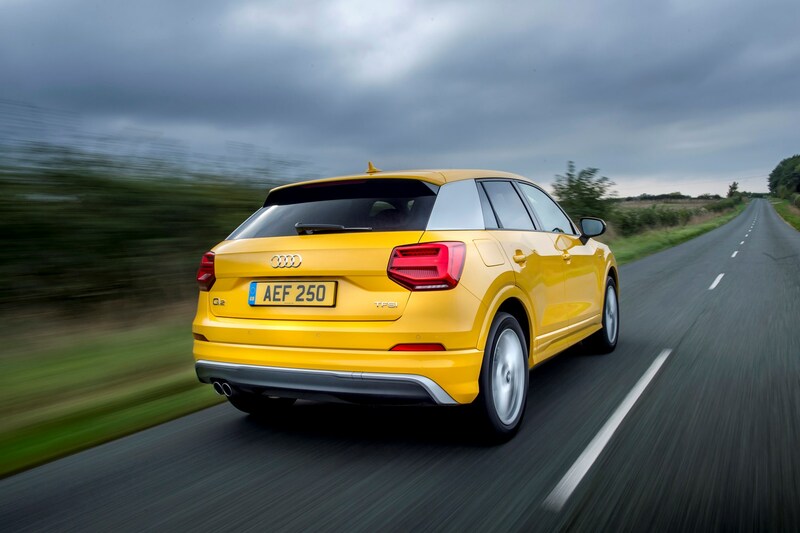 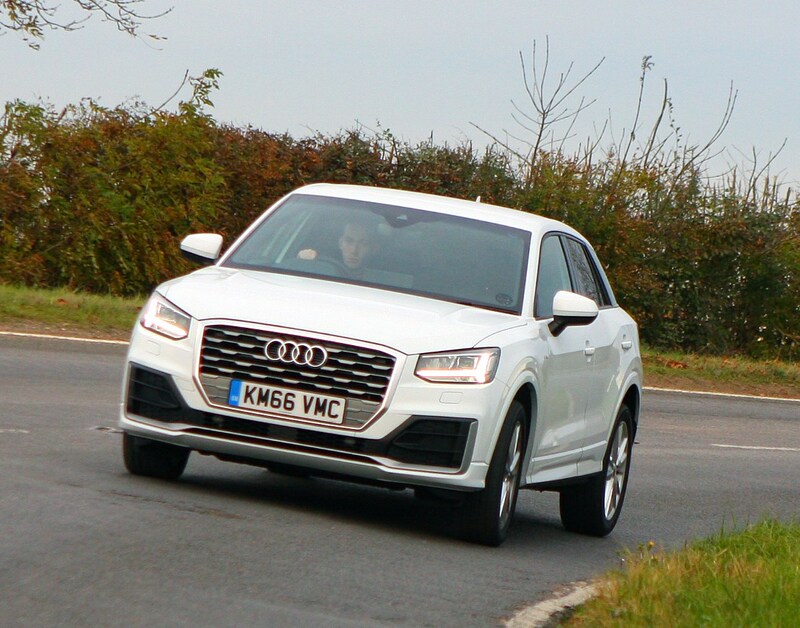 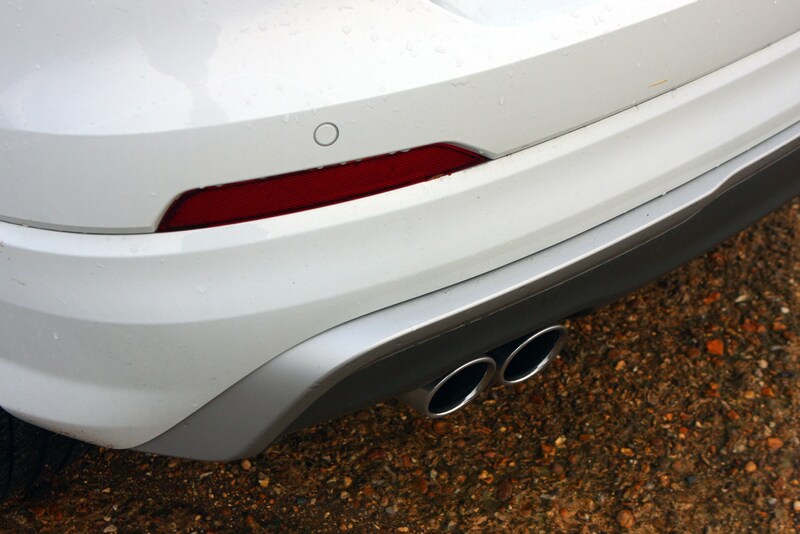 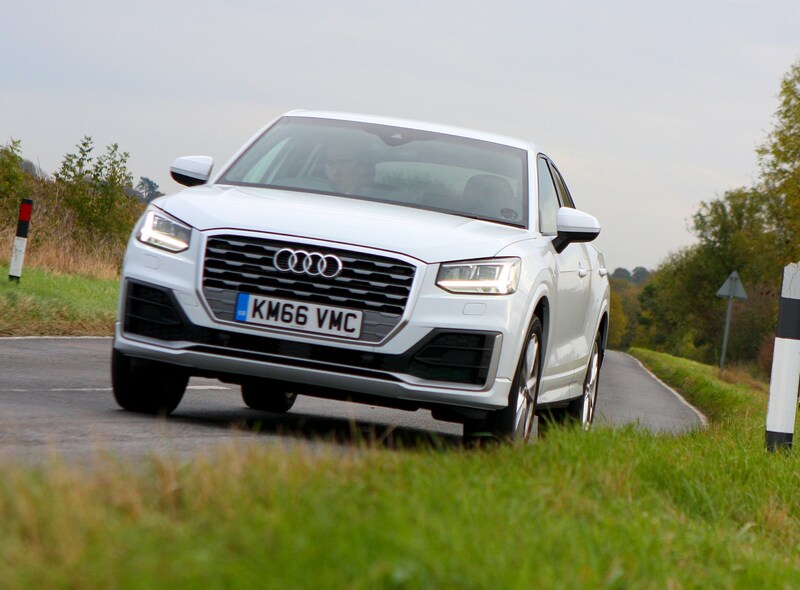 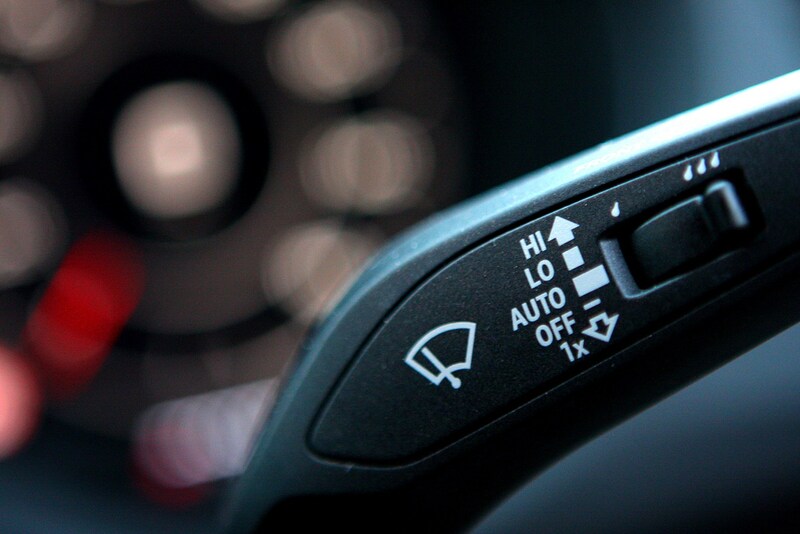 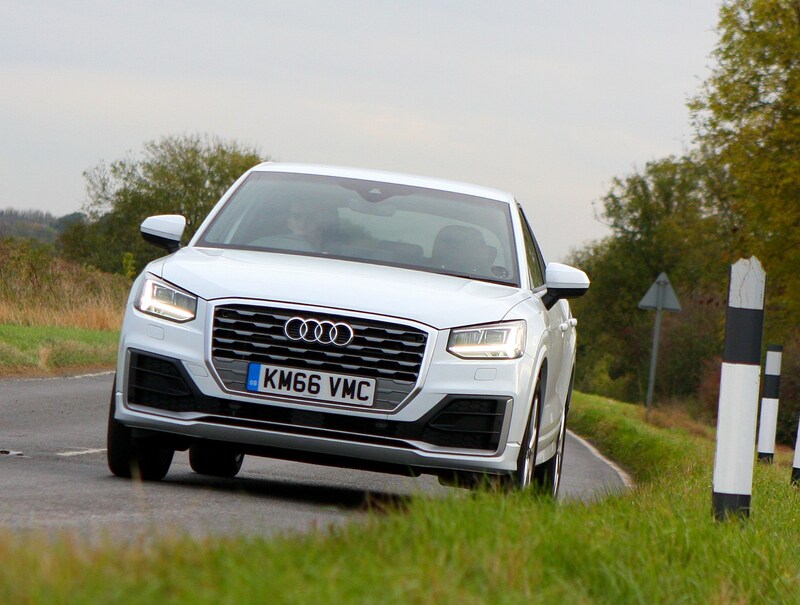 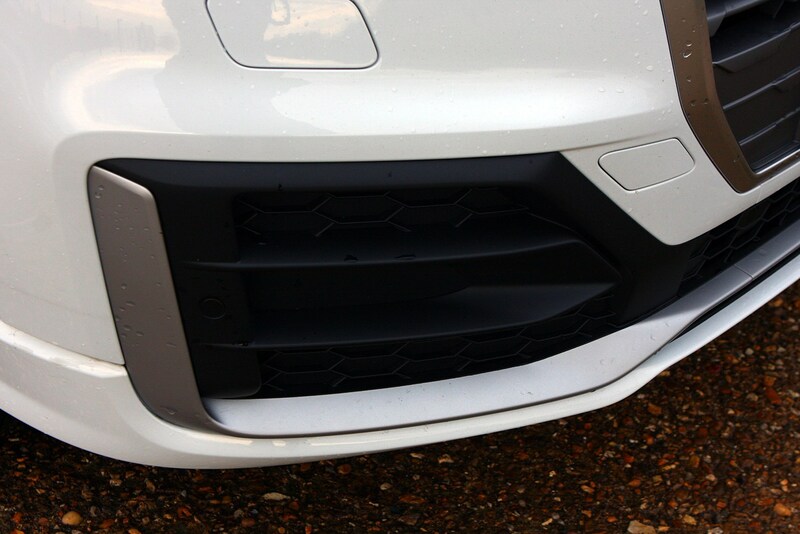 All Q2s get autonomous emergency braking (AEB) for added safety and progressive steering to balance low-speed ease with higher-speed driving pleasure – previously this has sometimes felt odd in use, but seems well calibrated here. 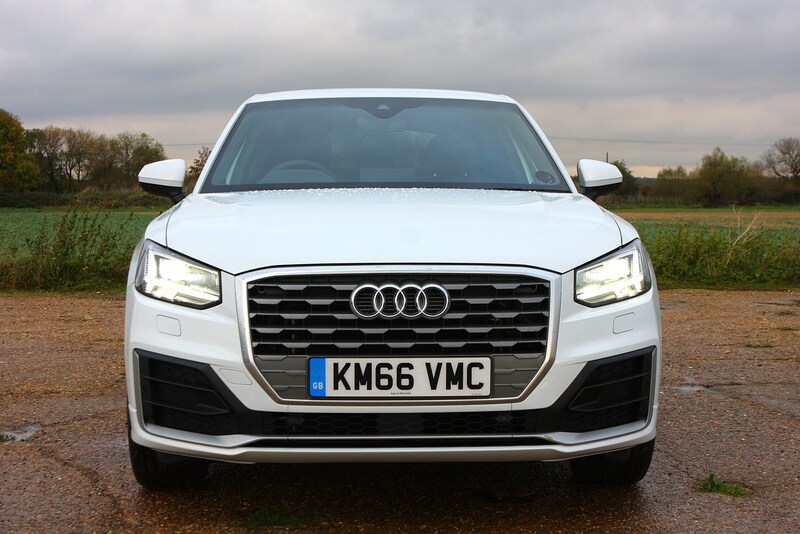 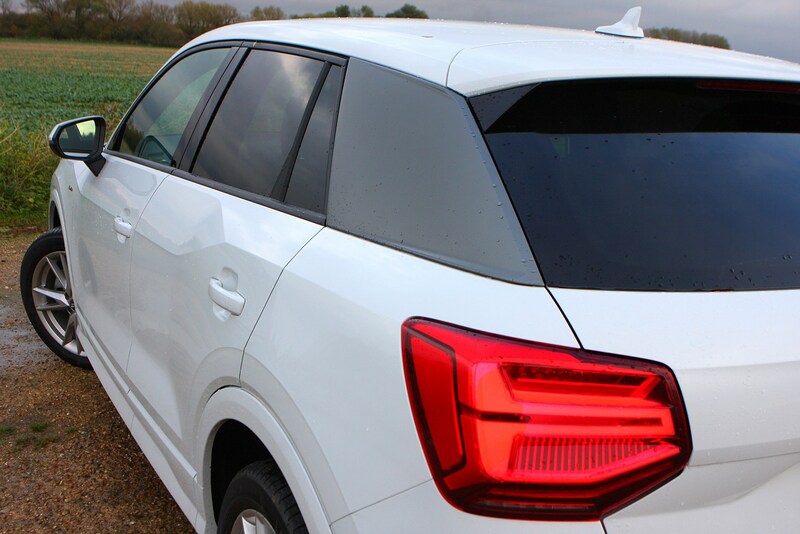 Should you buy an Audi Q2? 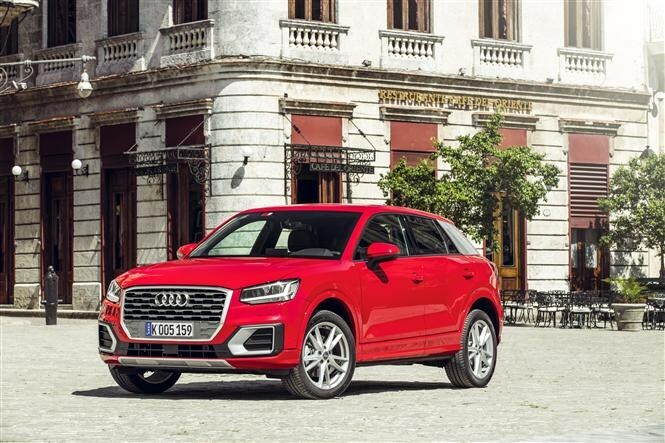 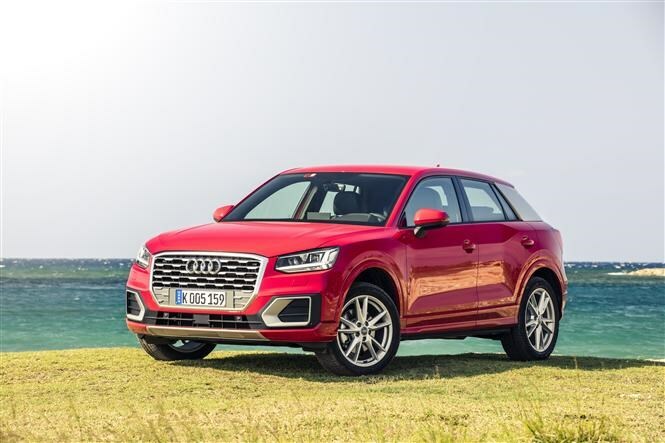 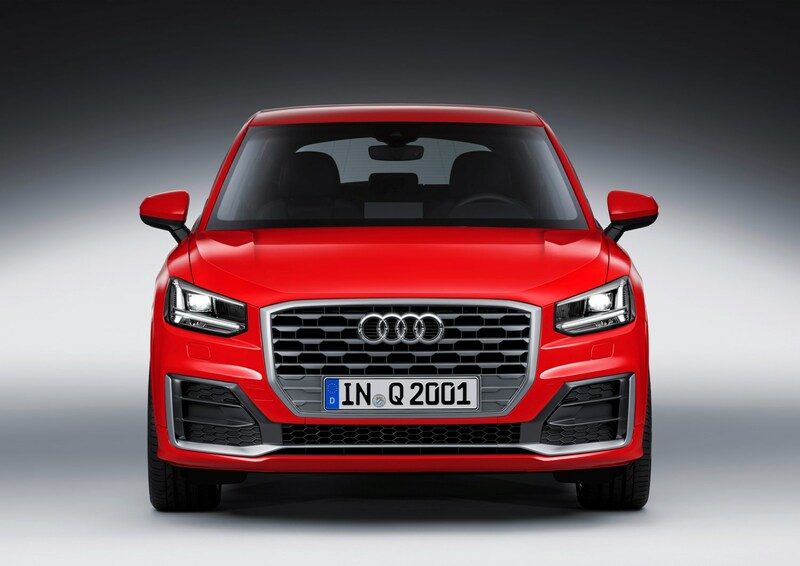 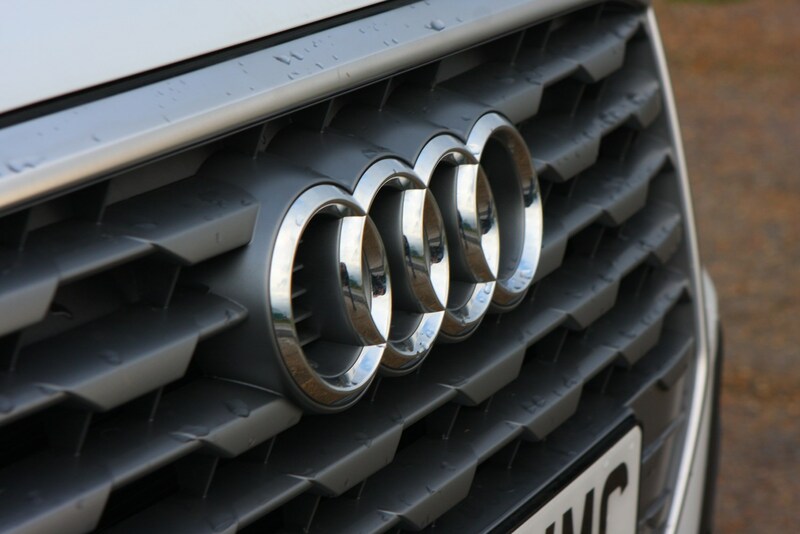 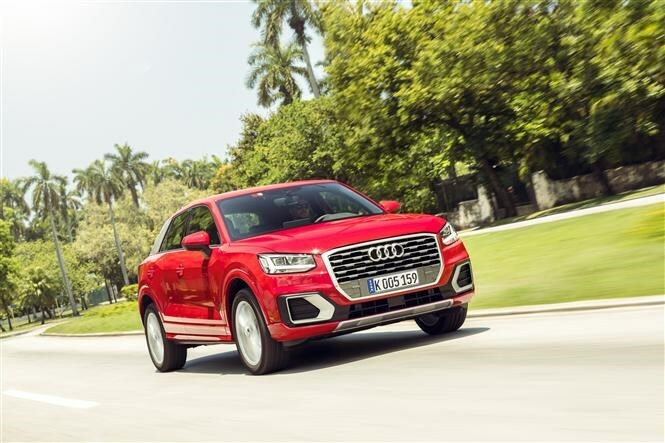 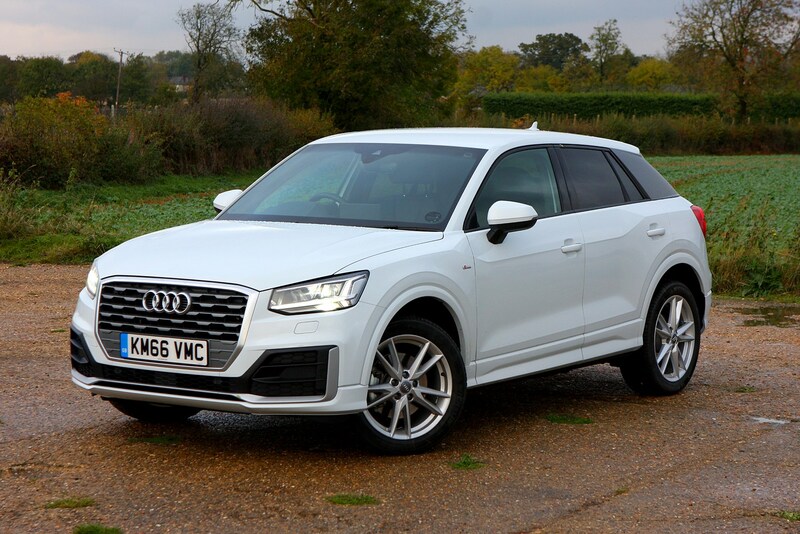 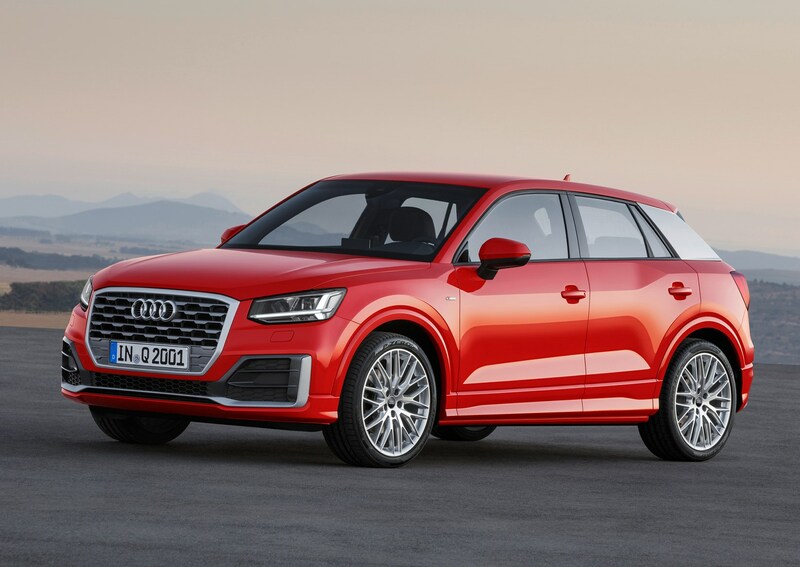 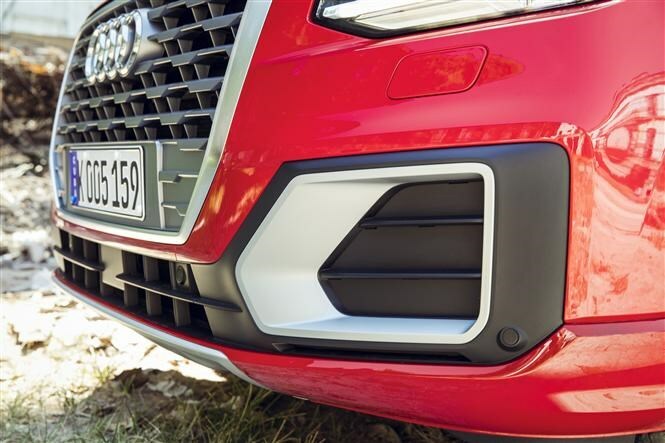 The Q2 makes Audi’s premium appeal accessible to a whole new range of SUV buyers and almost instantly guarantees success in the current market. 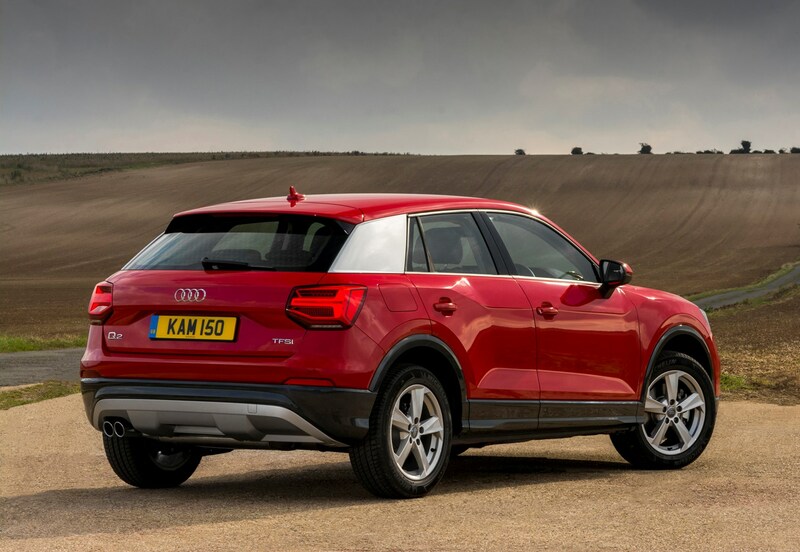 It isn’t as playful as a MINI, but many will prefer the Q2’s maturity; it’s still good to drive and certainly better resolved than the Mercedes GLA.